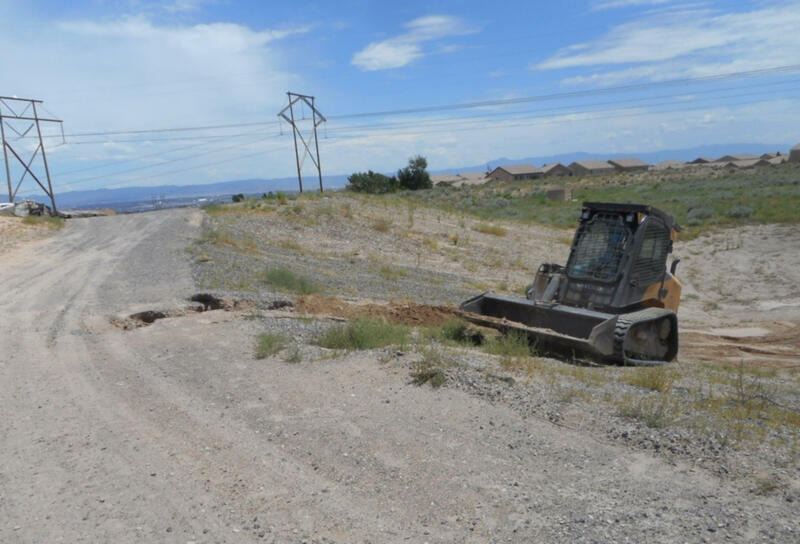 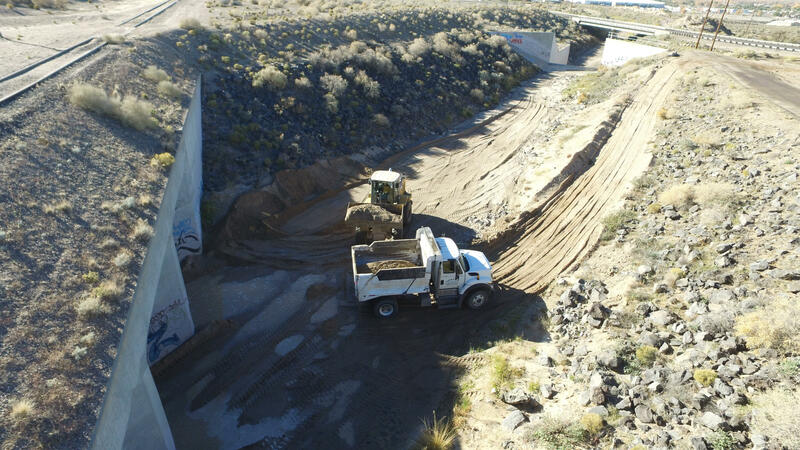 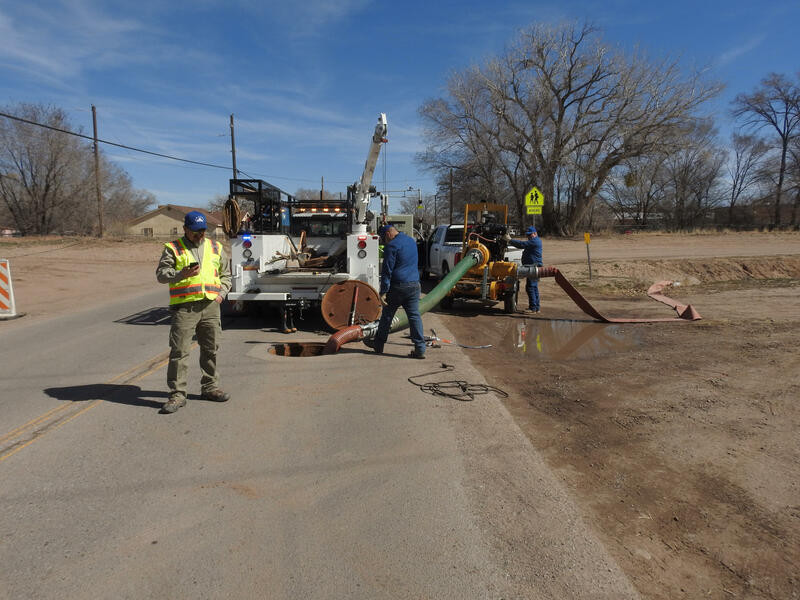 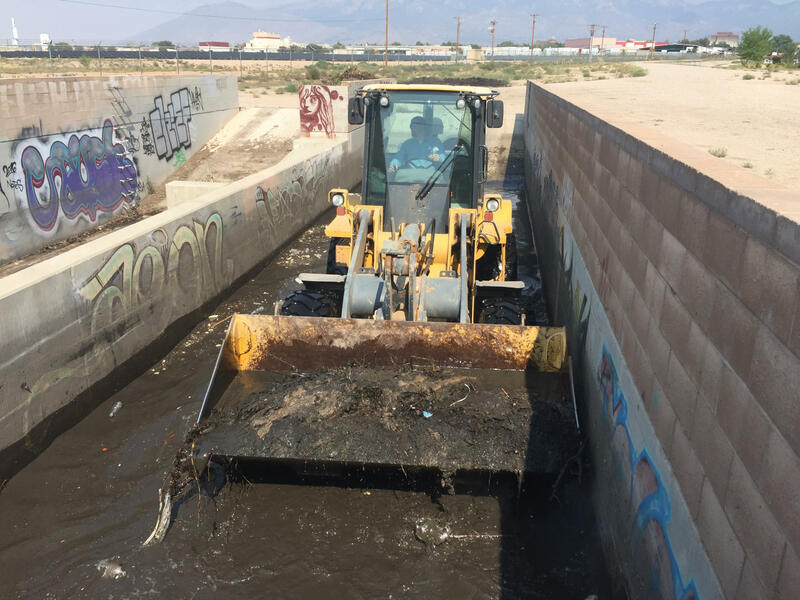 A large portion of what AMAFCA does is related to the operation and upkeep/maintenance of existing flood control and drainage infrastructure. 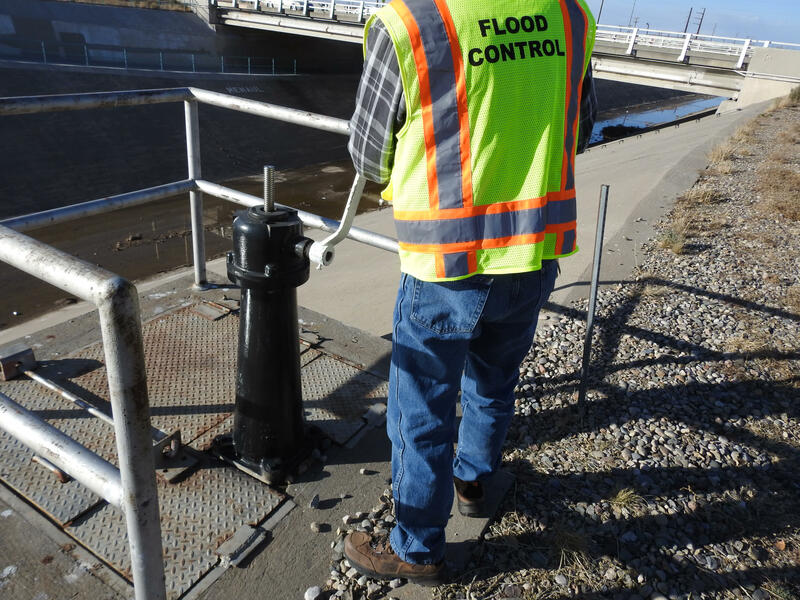 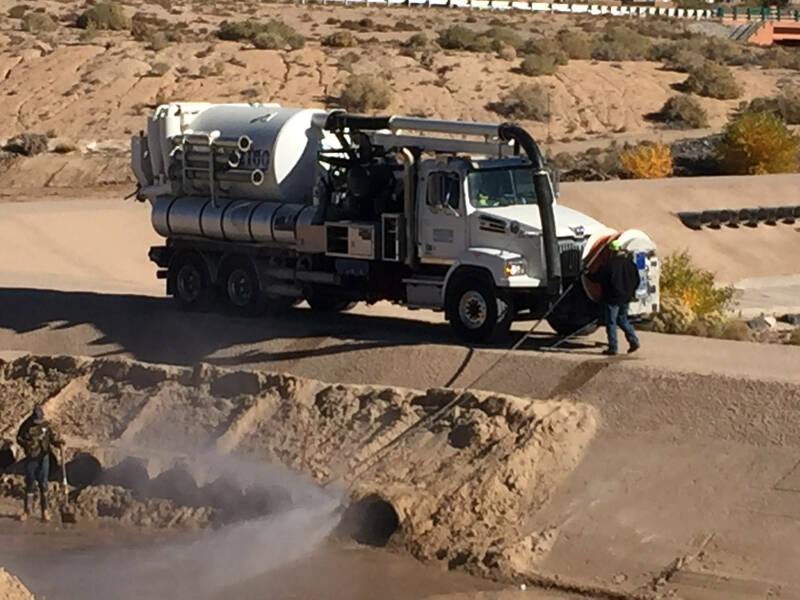 Annually, AMAFCA spends over 23,000 man-hours operating and maintaining its flood control system. 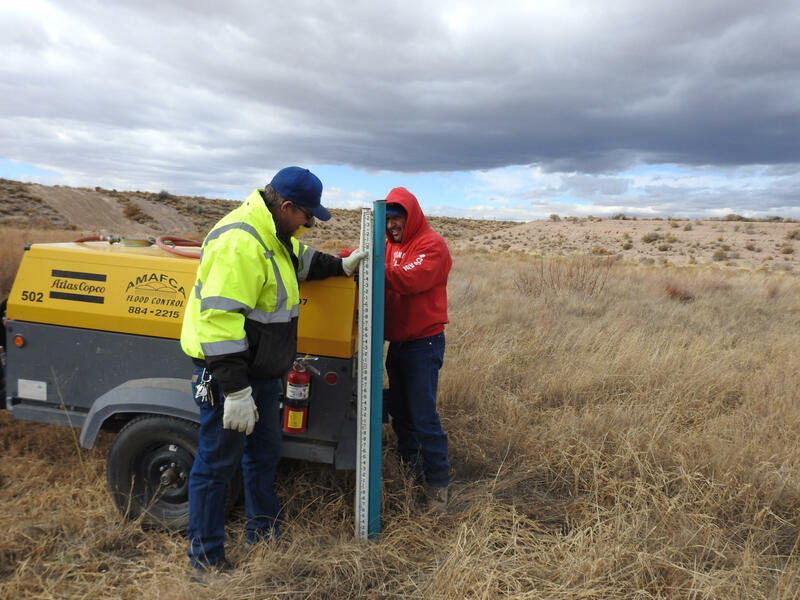 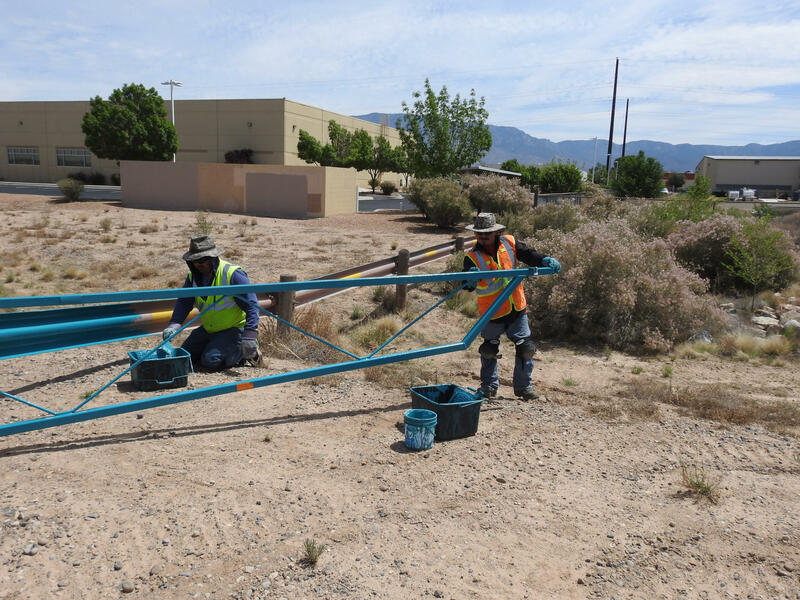 Operation and maintenance of AMAFCA’s system is administered by the AMAFCA’s Field Engineer and Maintenance Superintendent, who oversee an eleven-man Maintenance Crew and various contractors. 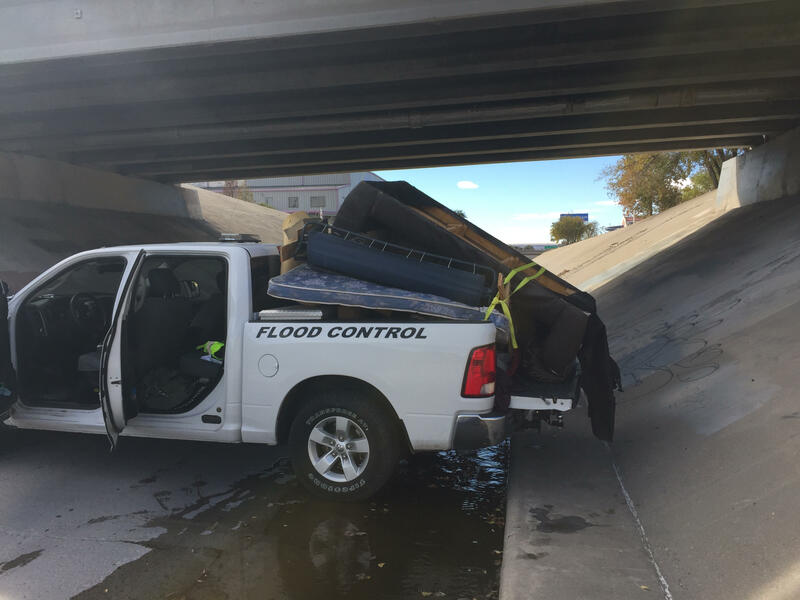 The Field Engineer ensures AMAFCA facilities are flood-ready. 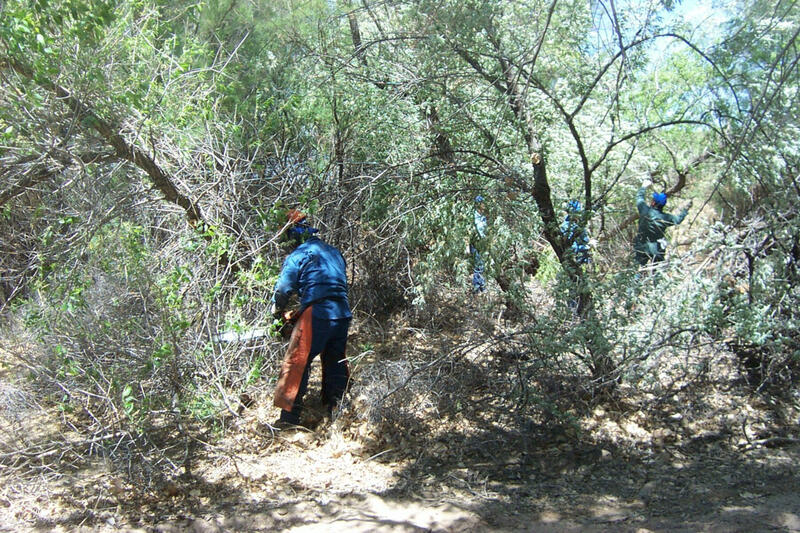 Some of the typical maintenance activities undertaken by AMAFCA are shown below. 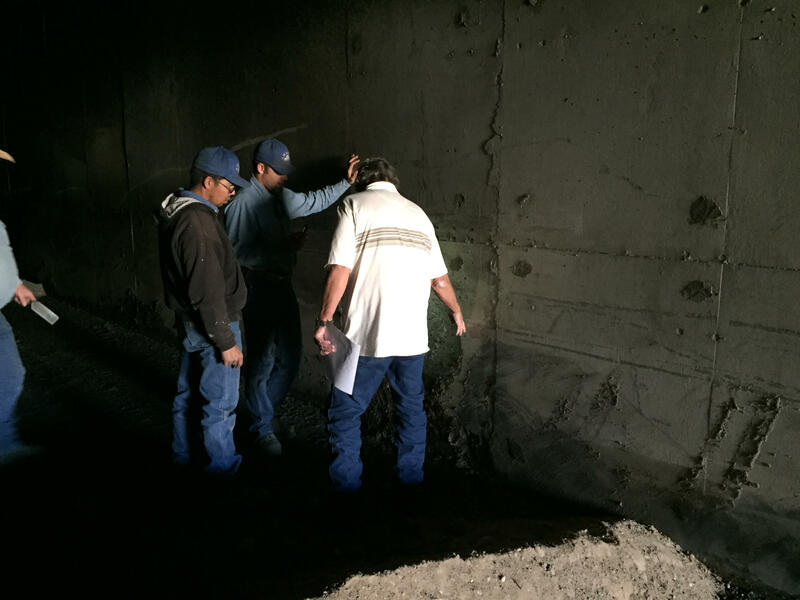 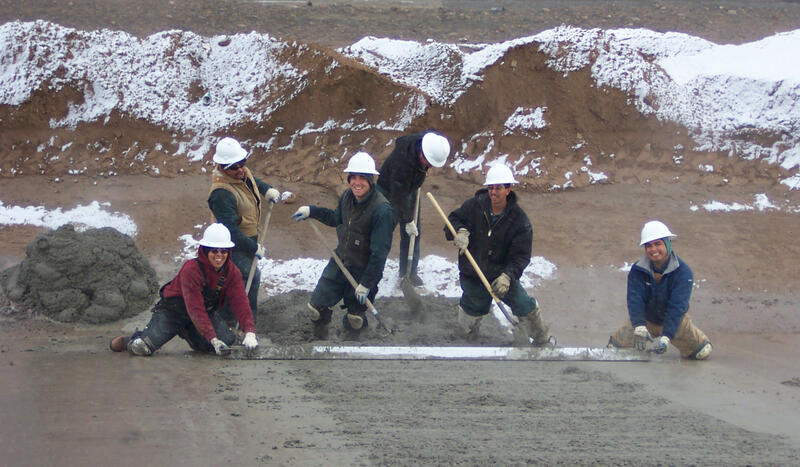 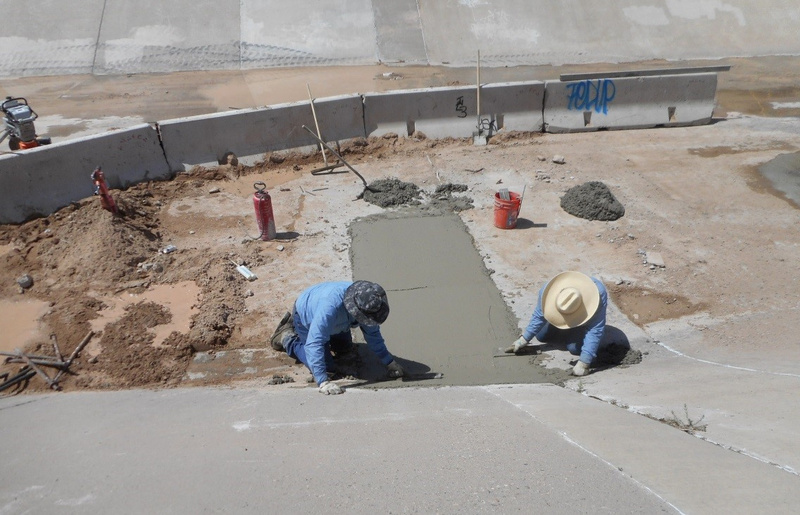 Half of the arroyos and channels AMAFCA maintains are concrete lined. 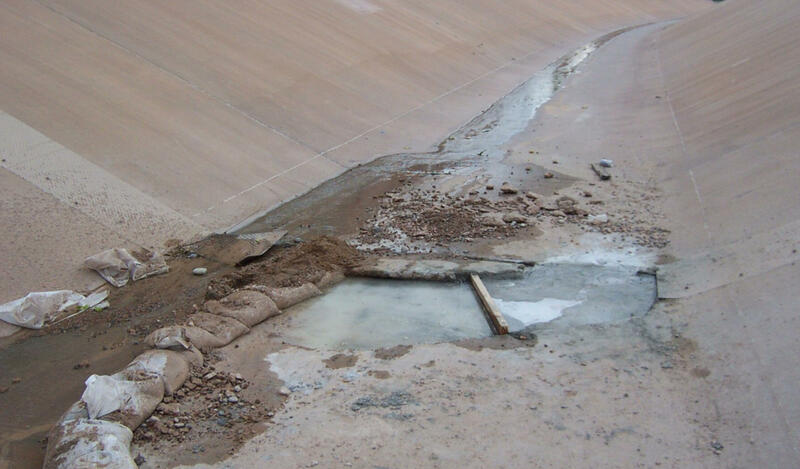 Over time, concrete will deteriorate and undermine the integrity of the channel. 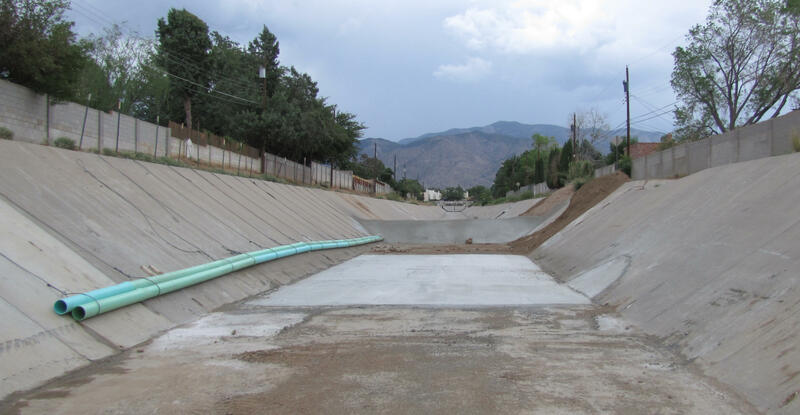 AMAFCA periodically repairs damaged channel by cutting out the bad section of concrete, replacing or installing new steel reinforcing, and putting new concrete down in the channel. 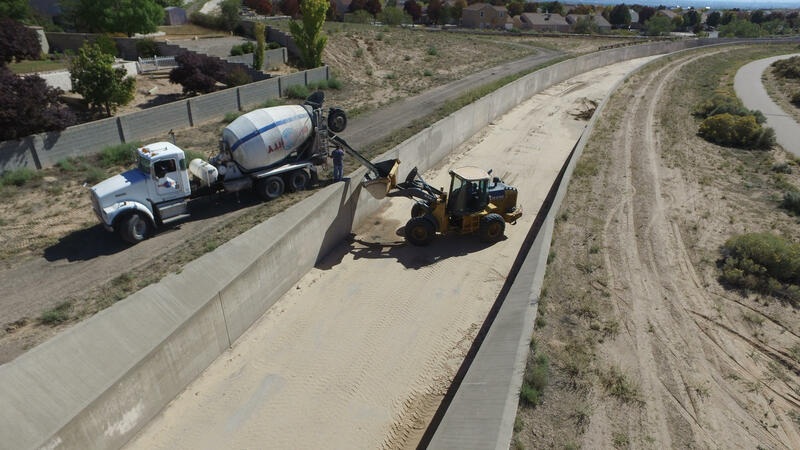 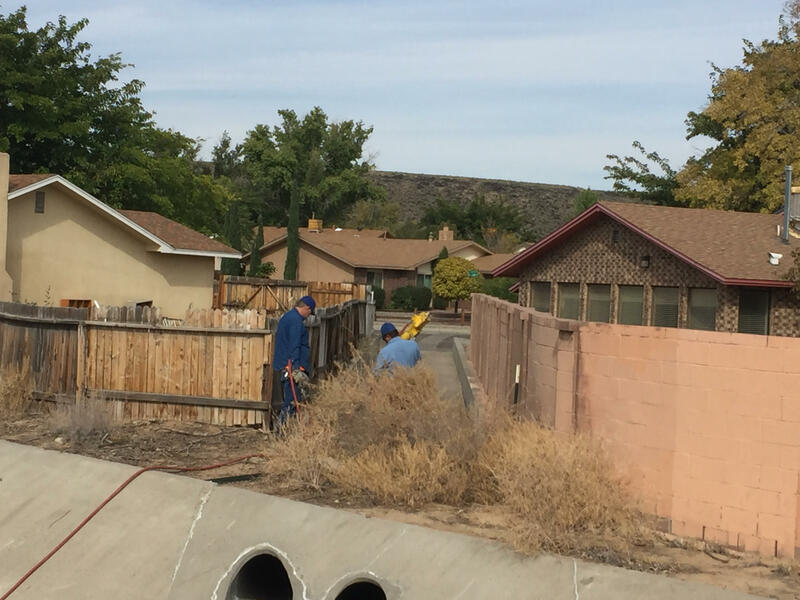 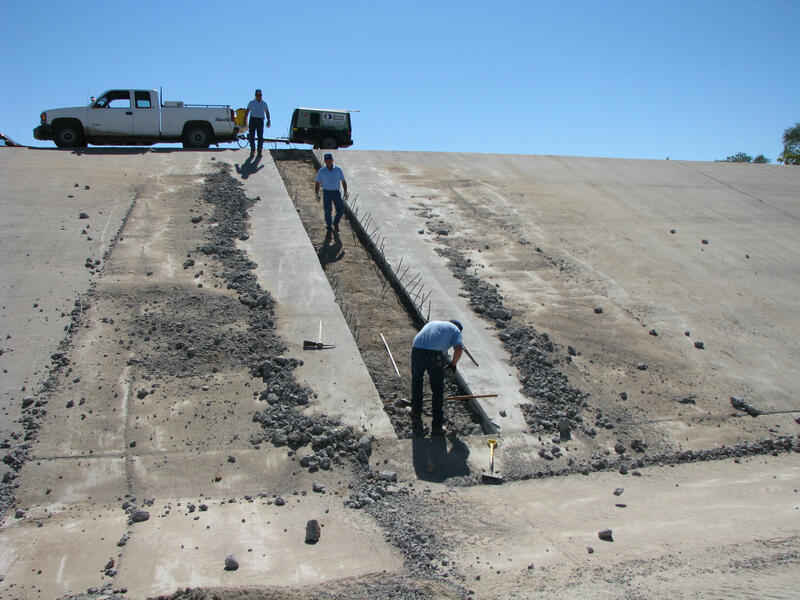 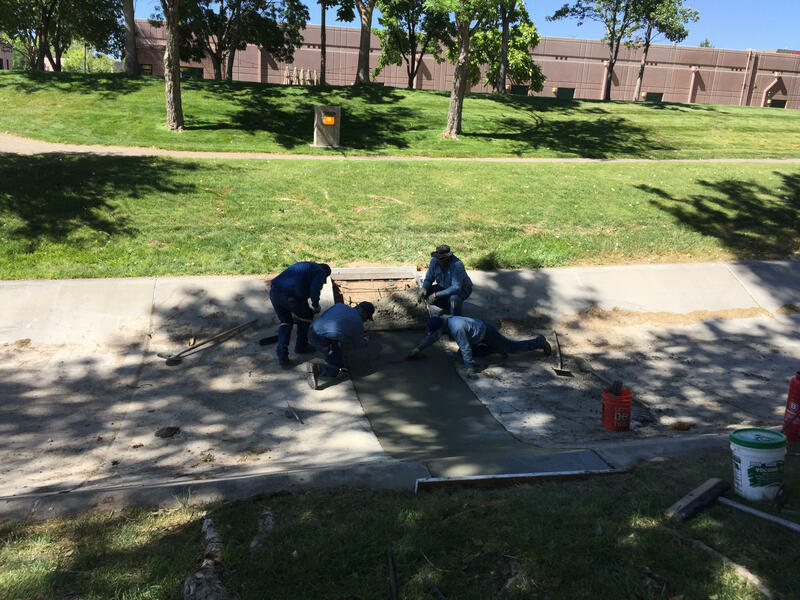 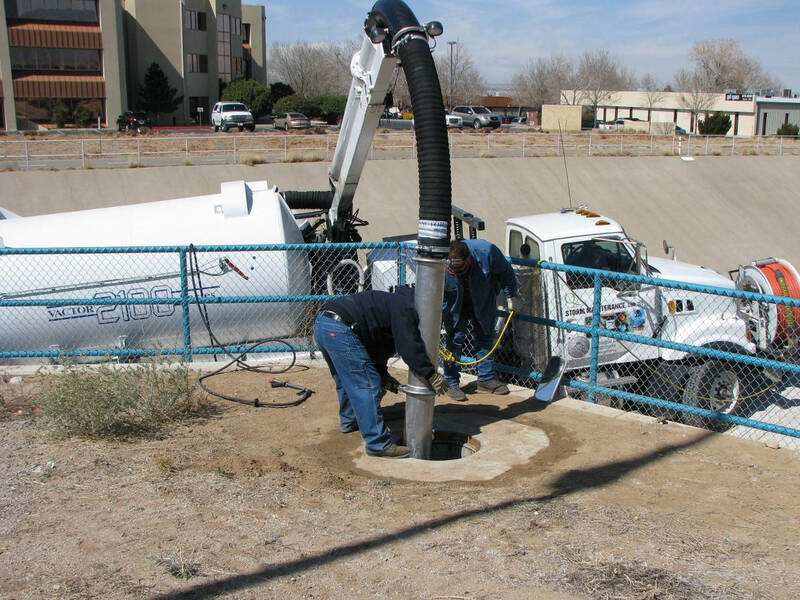 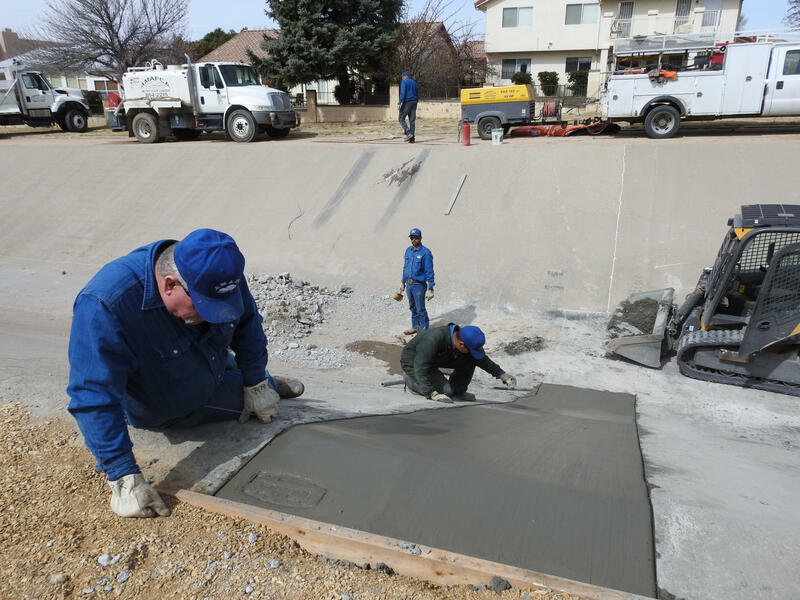 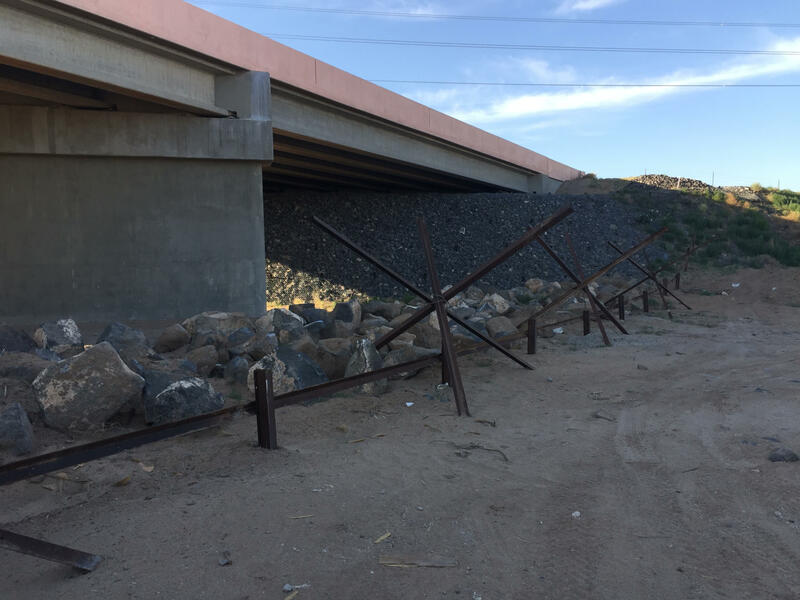 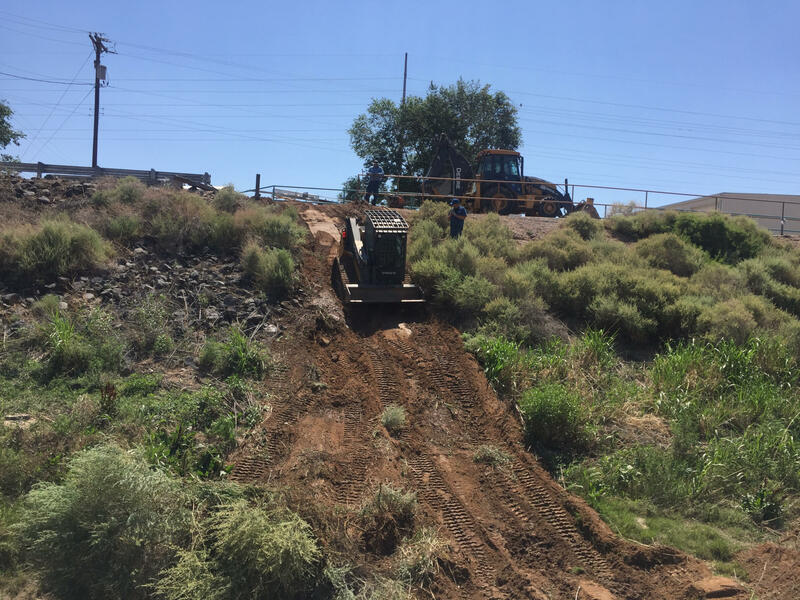 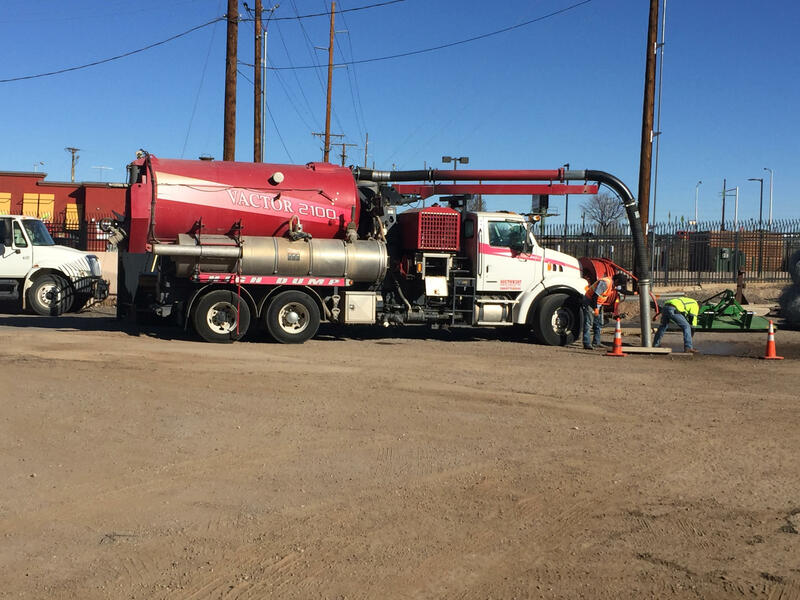 AMAFCA also does concrete repairs on other drainage control structures such as retaining walls, concrete box culverts, and concrete spillways. 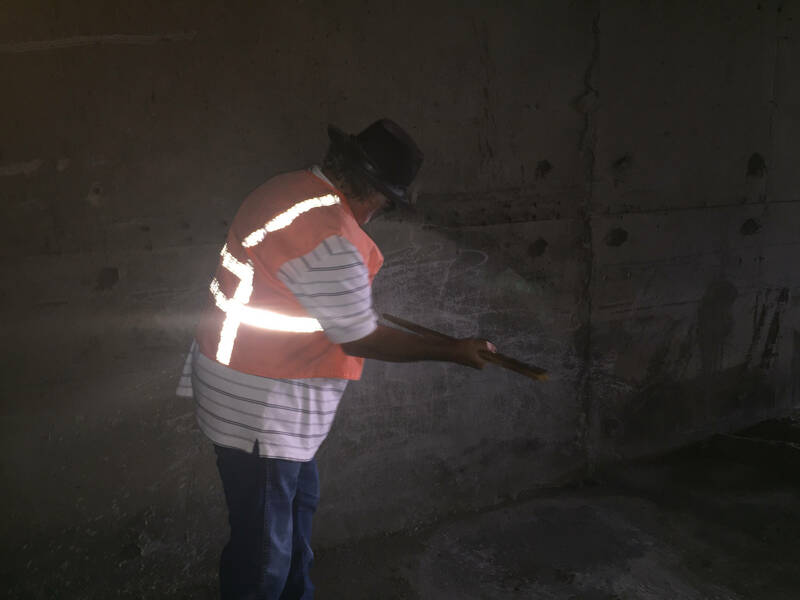 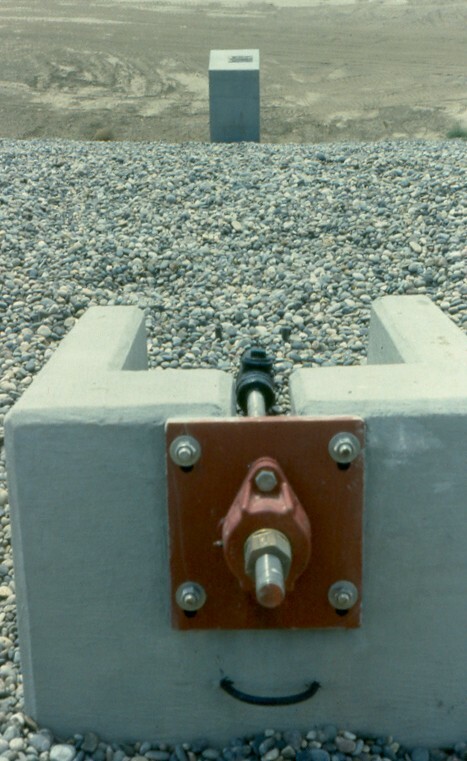 Joints between concrete are sealed or waterproofed to prevent seepage of water underneath the channel. 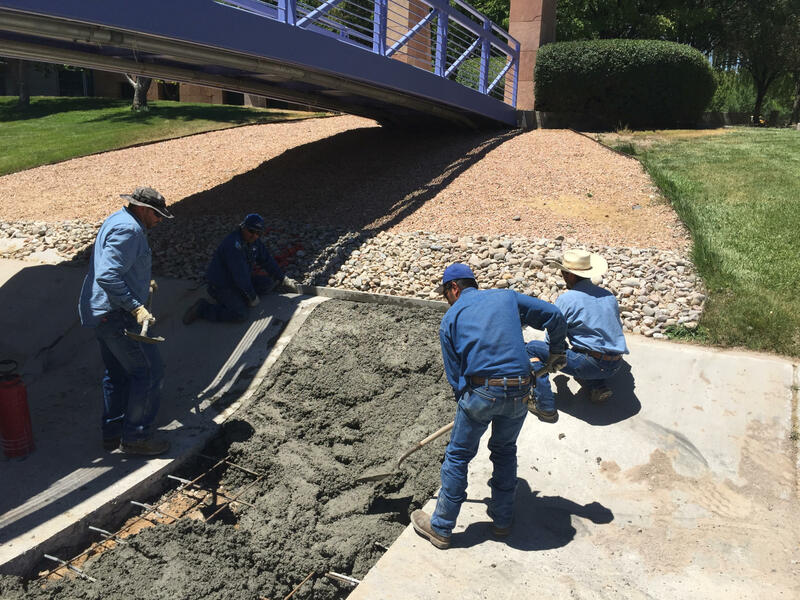 Depending on the size of the repair, AMAFCA may choose to utilize AMAFCA’s Maintenance Crew or contract the work to a construction company. 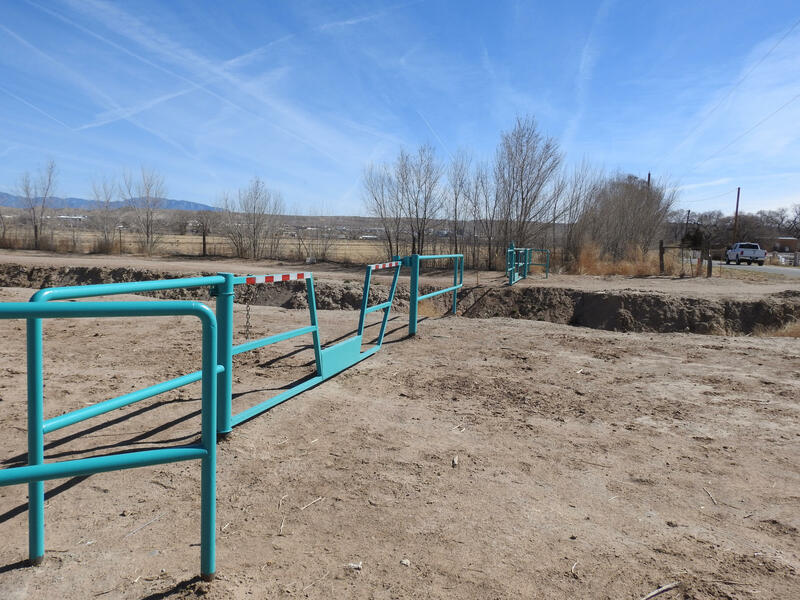 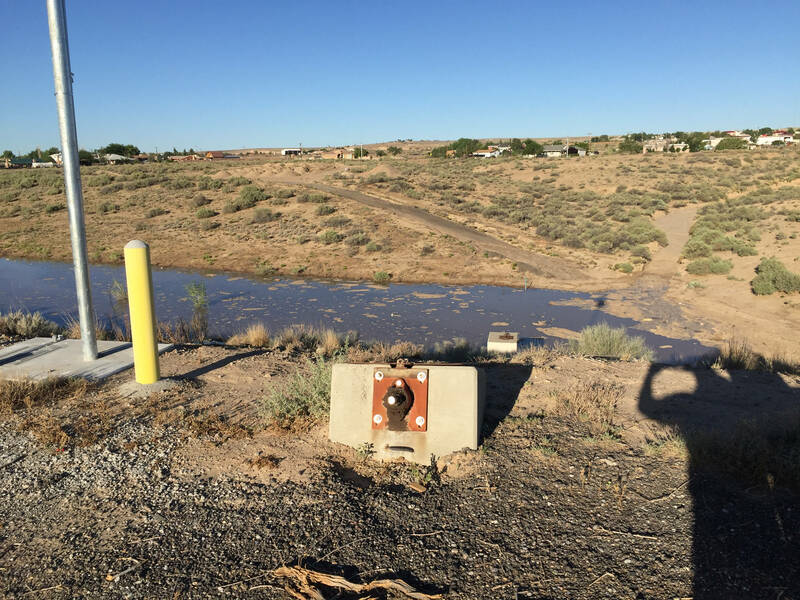 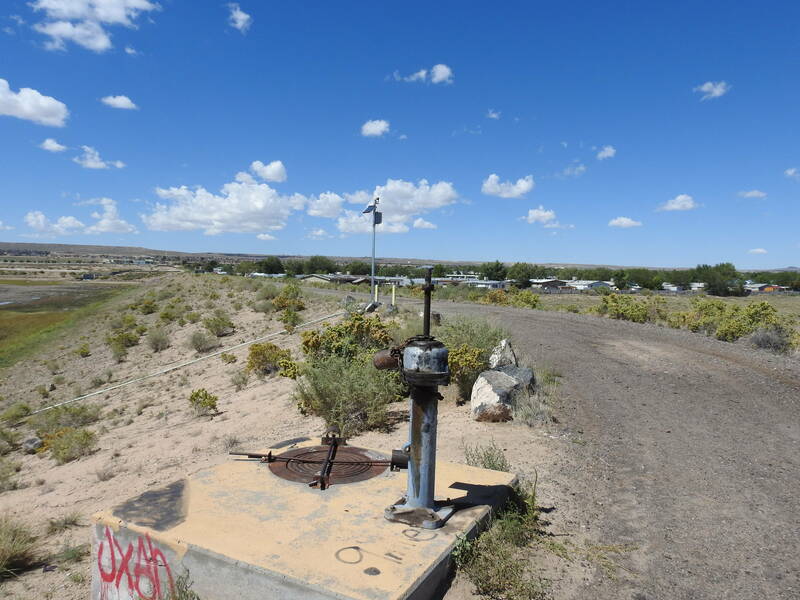 Several of AMAFCA’s flood control dams are gated, meaning that they will hold stormwater runoff until a gate is opened and the dam can begin emptying. 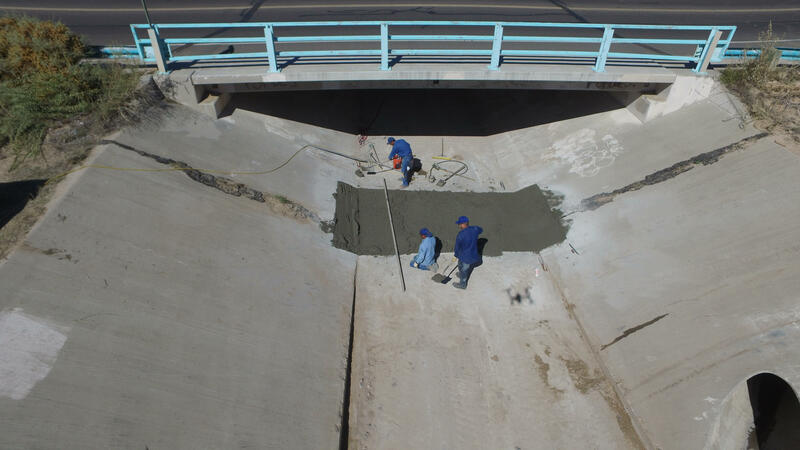 This is because the outlet of the detention dam drains into a non-AMAFCA facility, so the opening of the gate must be coordinated with the partner agency. 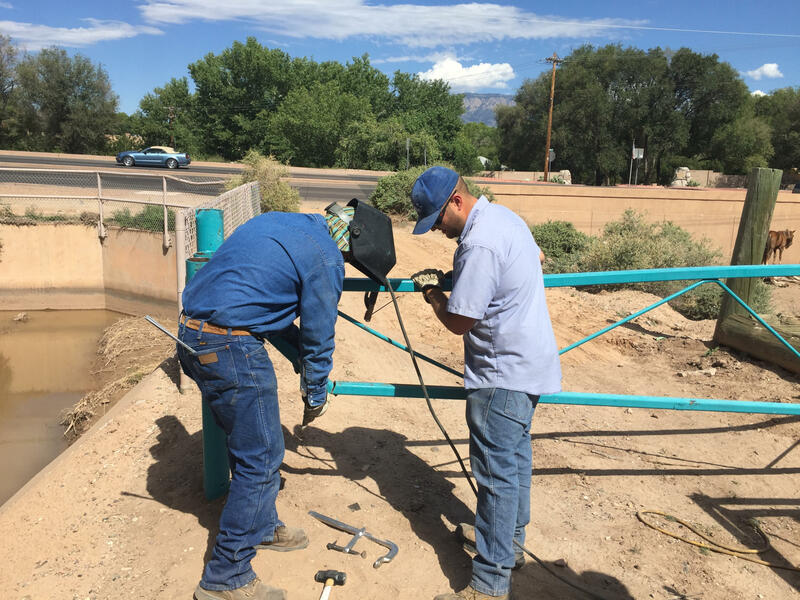 AMAFCA routinely inspects and tests each gate to ensure proper performance in the event of a storm. 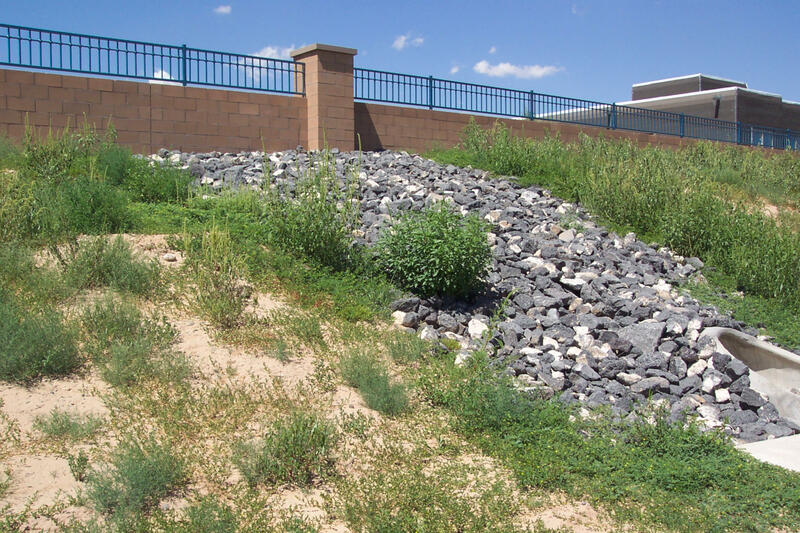 Stormwater runoff can cause significant erosion (the transport of sediment and soil) when flow concentrates over land. 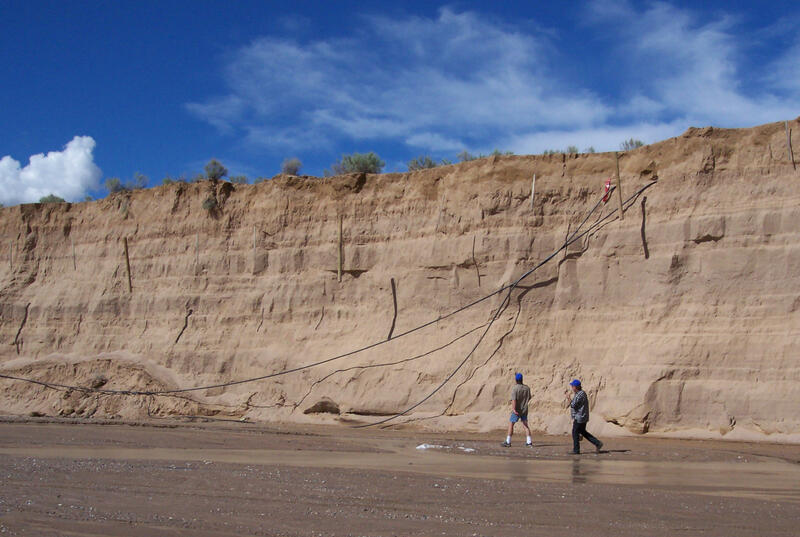 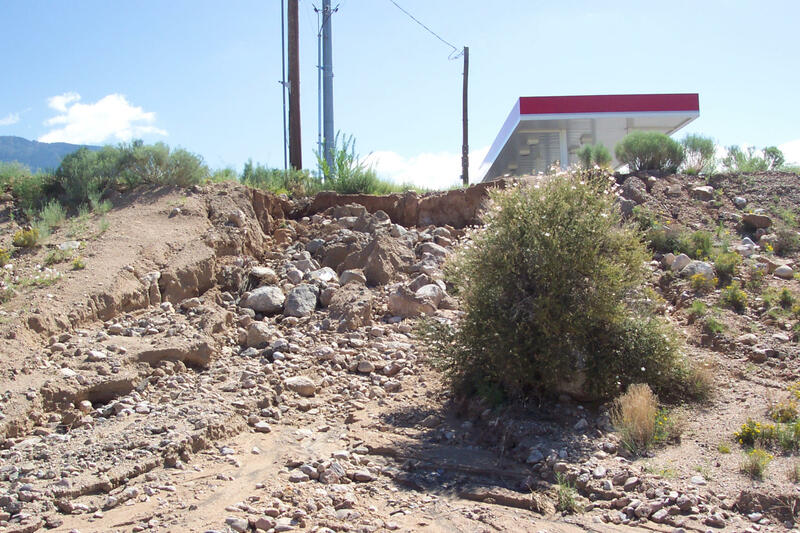 These erosions can grow and undermine the stability of natural channels and possibly damage adjacent facilities and property. 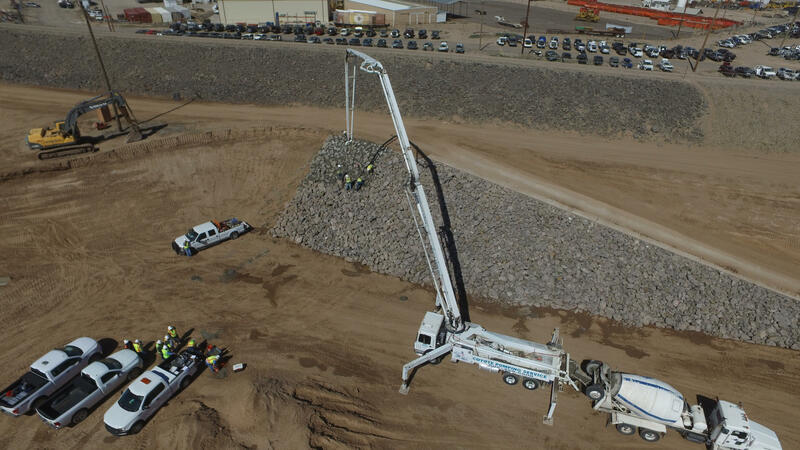 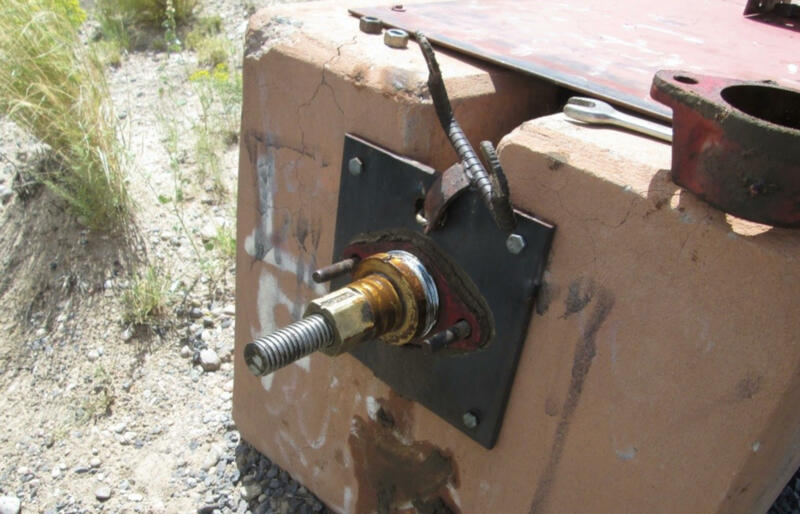 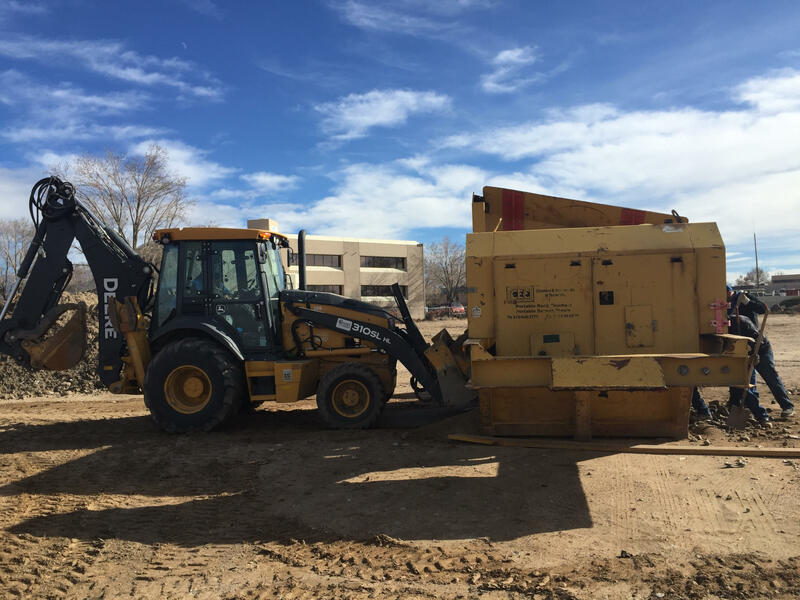 AMAFCA repairs the erosions using a variety of equipment, and if necessary, will grade the facility to the proper elevation to ensure the facilities’ performance. 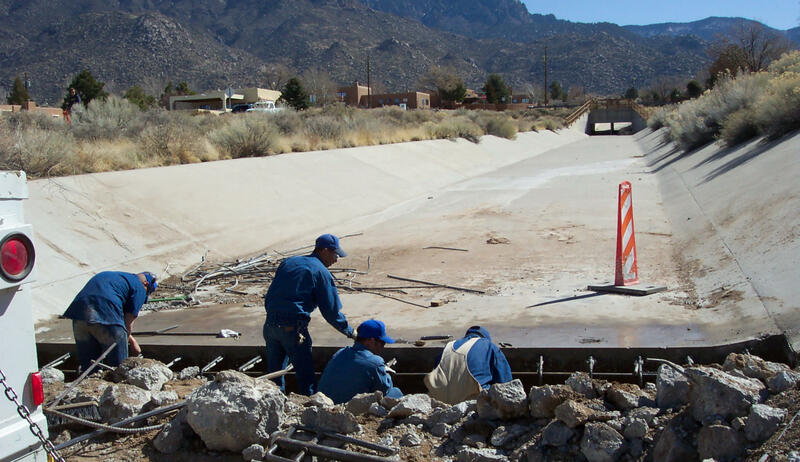 AMAFCA’s flood control system consists of many different types of drainage infrastructure ranging from channels, flood control ponds, grade control structures, storm drains, and stormwater quality structures. 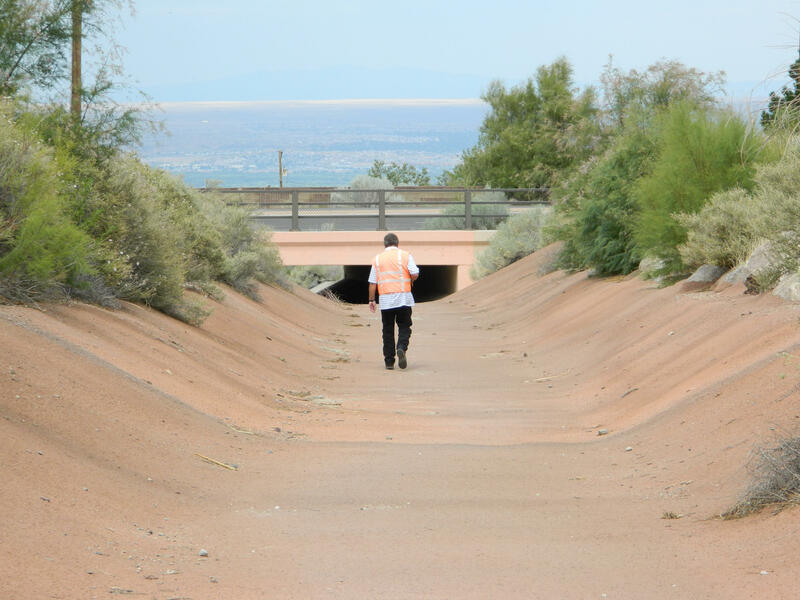 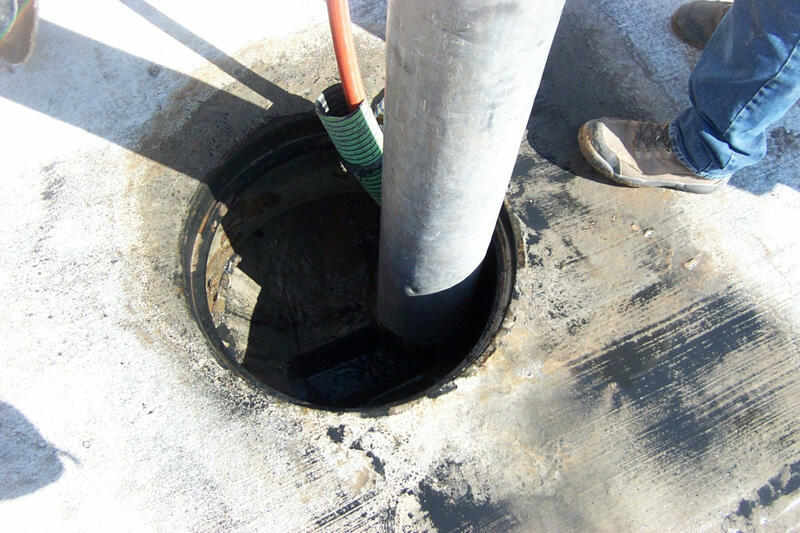 AMAFCA routinely inspects each facility to identify conditions that may adversely affect the safety and functionality of the drainage system and plan for future or immediate maintenance/repair. 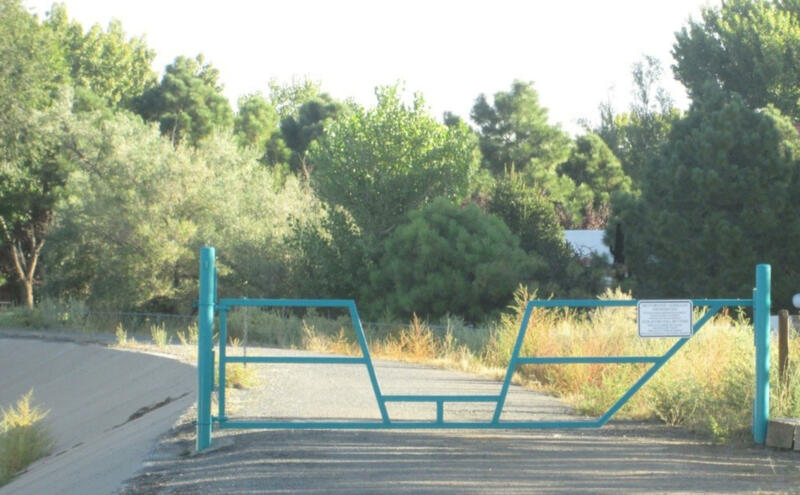 AMAFCA limits illegal or unwanted access to its facilities and rights of way. 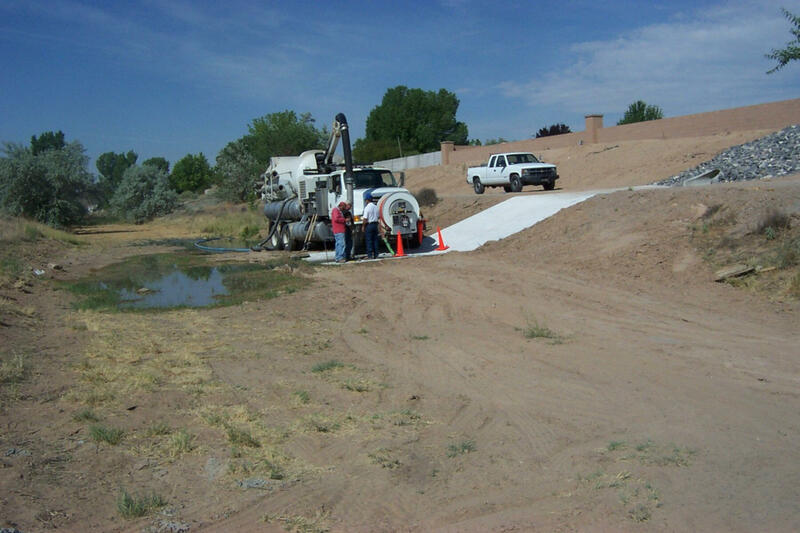 This is especially important during storm events where runoff is extremely dangerous. 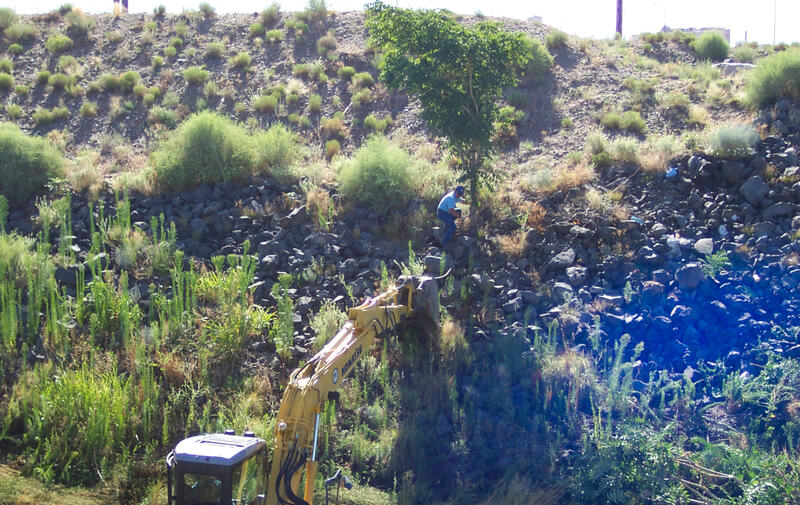 AMAFCA uses fencing, railing, rock boulders, guardrail and earthen berms to control access. 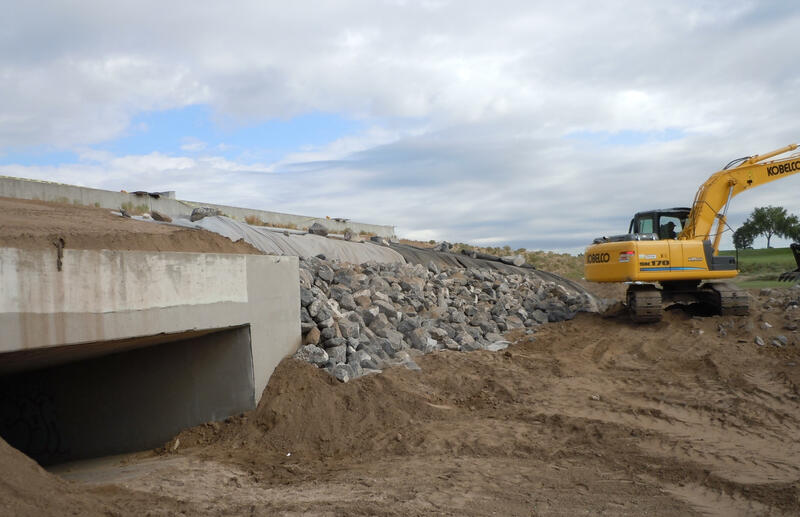 Some of these structures are considered semi-permanent so depending on the severity and regularity of storms, they may be over-topped or washed downstream and are salvaged/replaced after the storm. 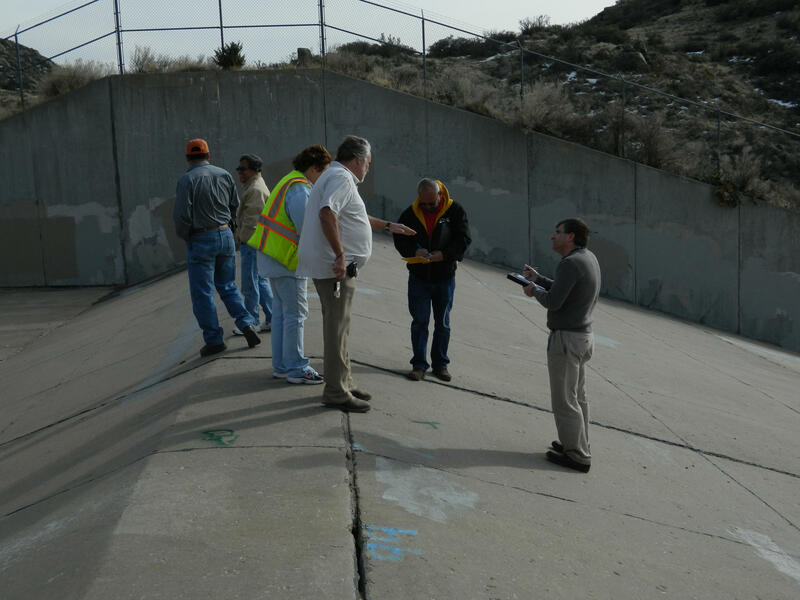 As a flood control agency, AMAFCA is responsible for protecting life and property from flooding. 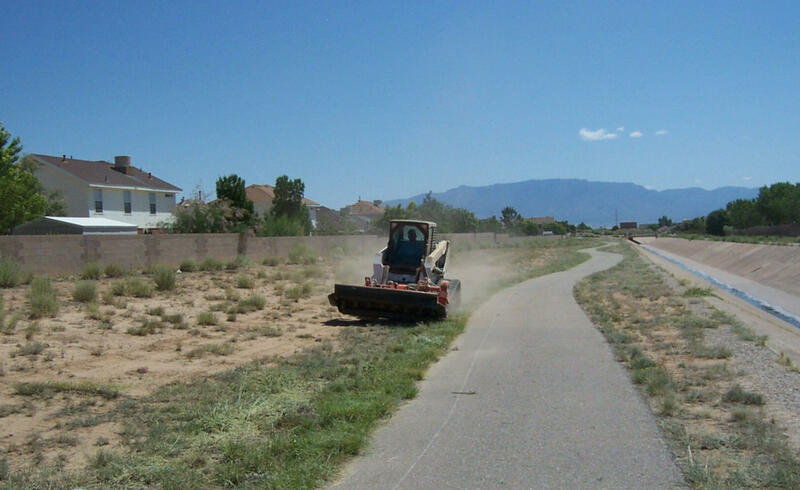 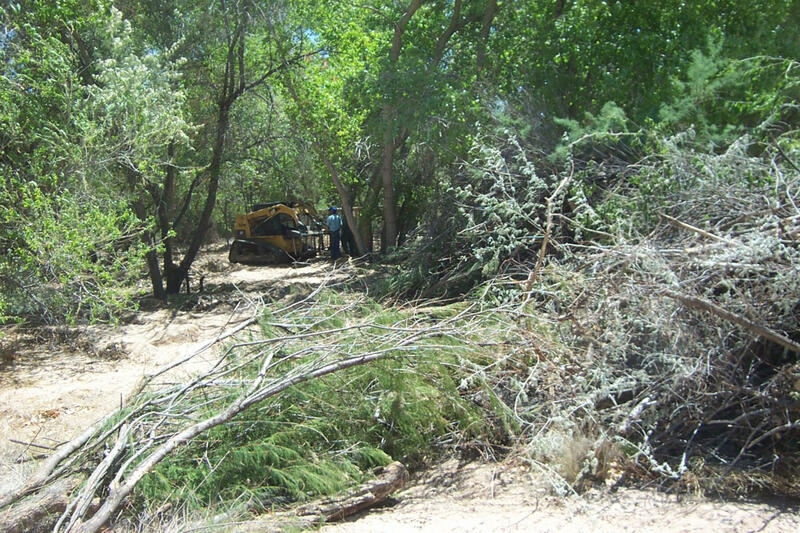 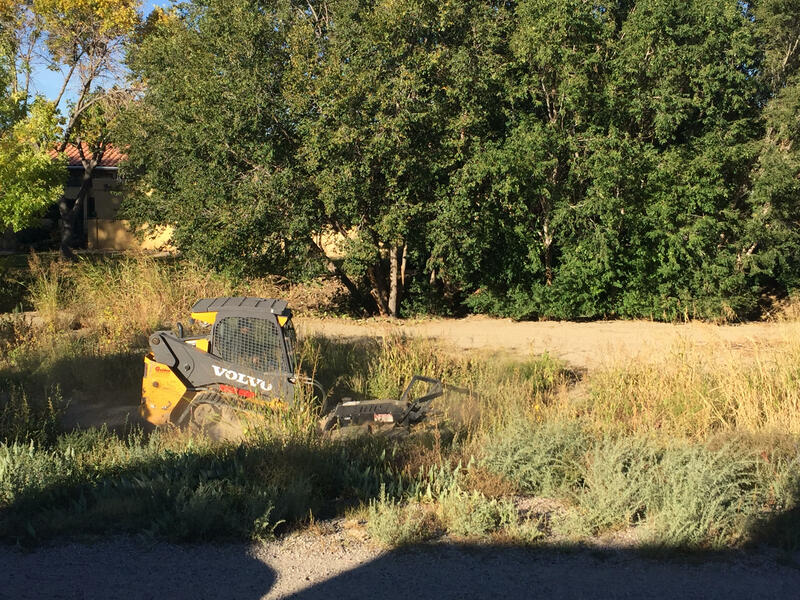 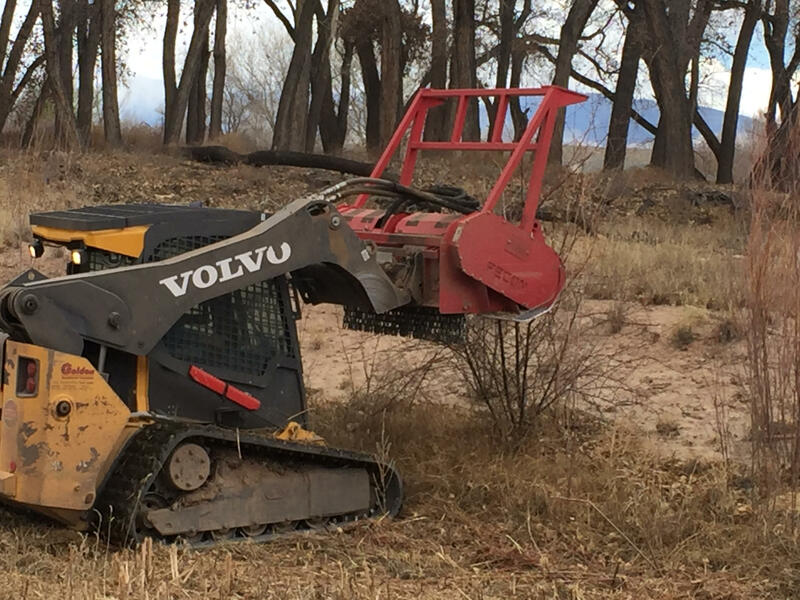 This sometimes involves the removal or trimming of natural vegetation which can impede flow and pose a risk to the flood control system. 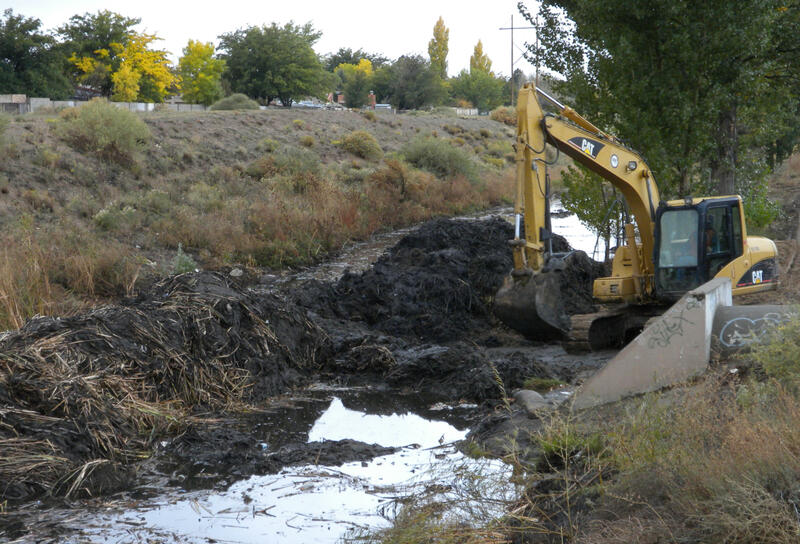 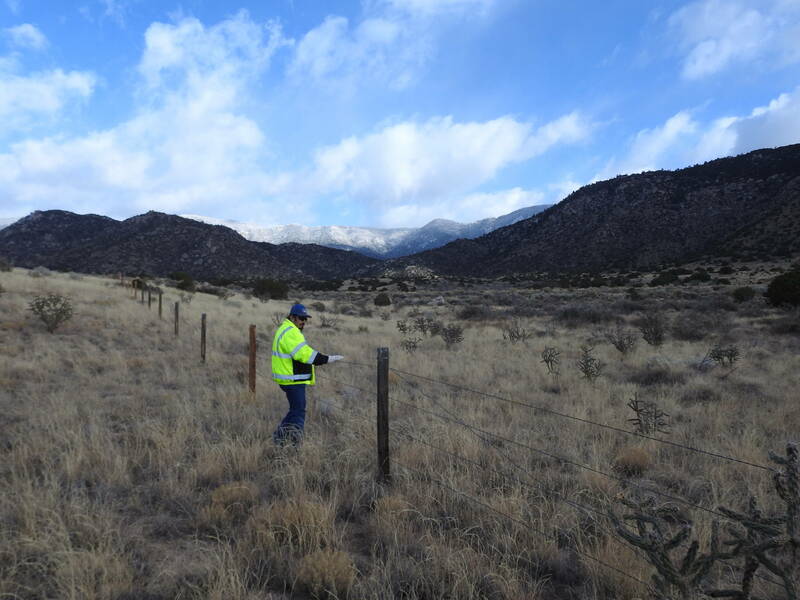 However, AMAFCA believes there can exist a balance between flood control and natural vegetation. 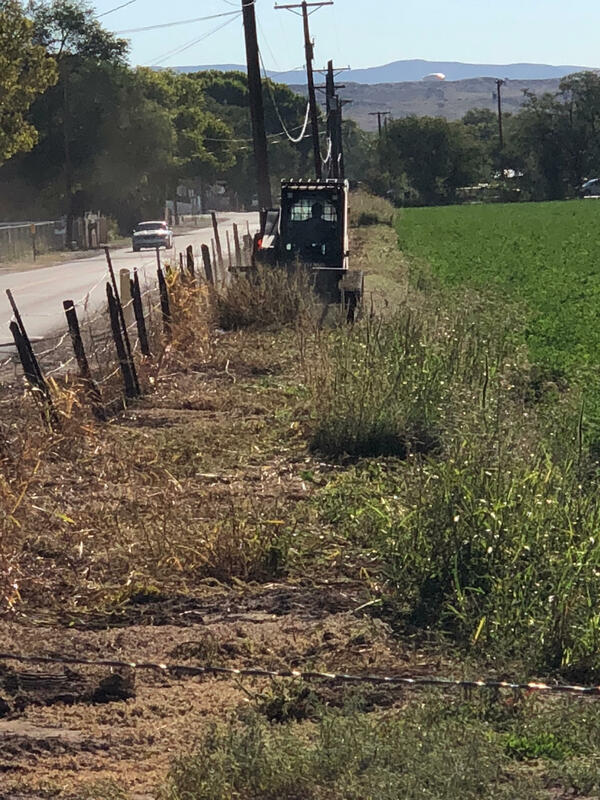 Many of AMAFCA’s unlined or naturalistic facilities are seeded with a native seed mix and are kept such that vegetation grows but does not disrupt hydraulic efficiency. 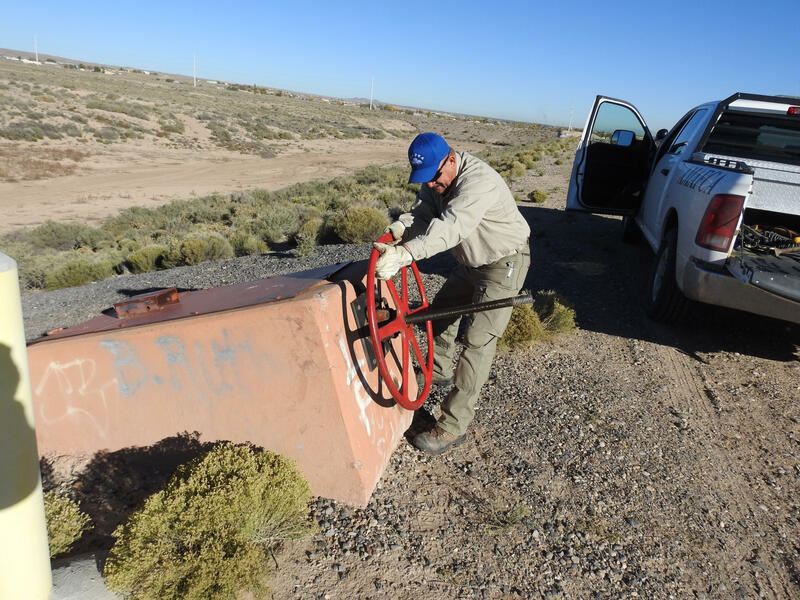 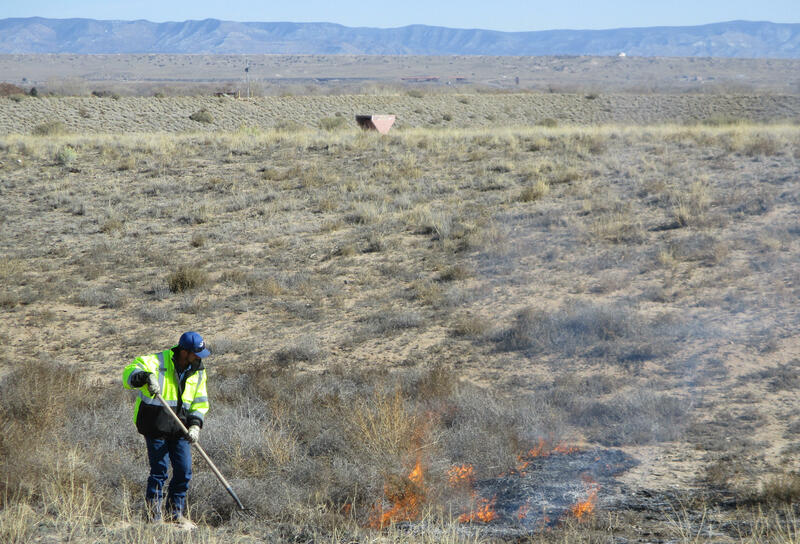 AMAFCA also works to remove non-native and invasive species from its facilities. 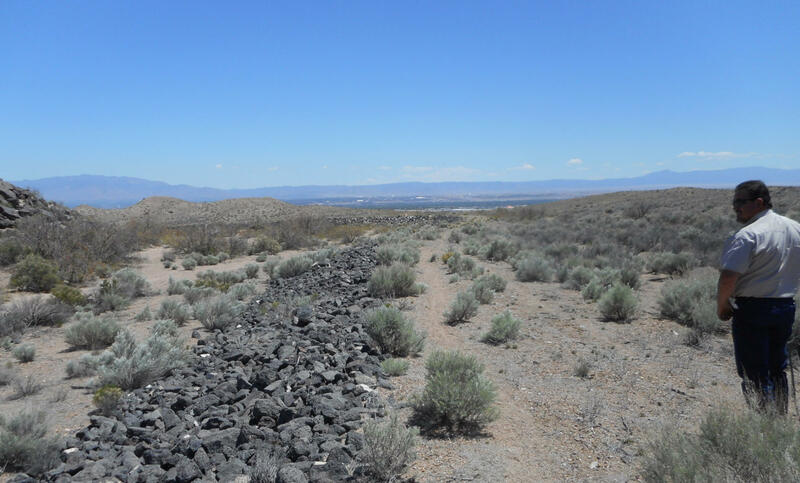 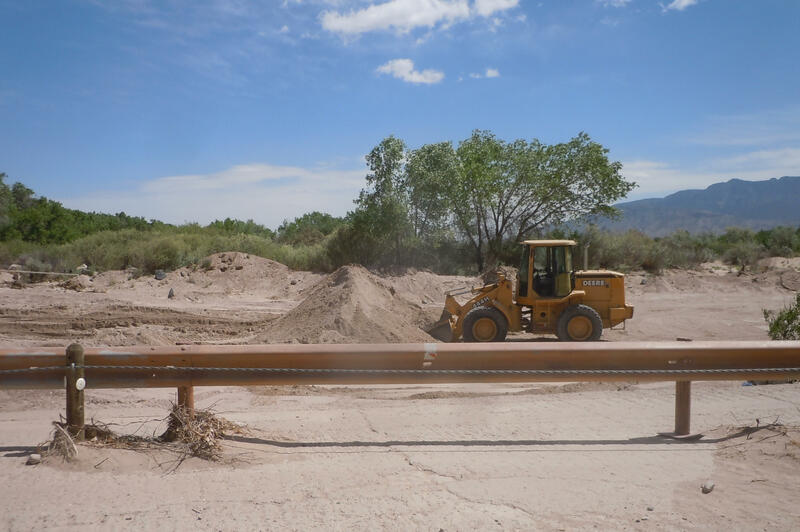 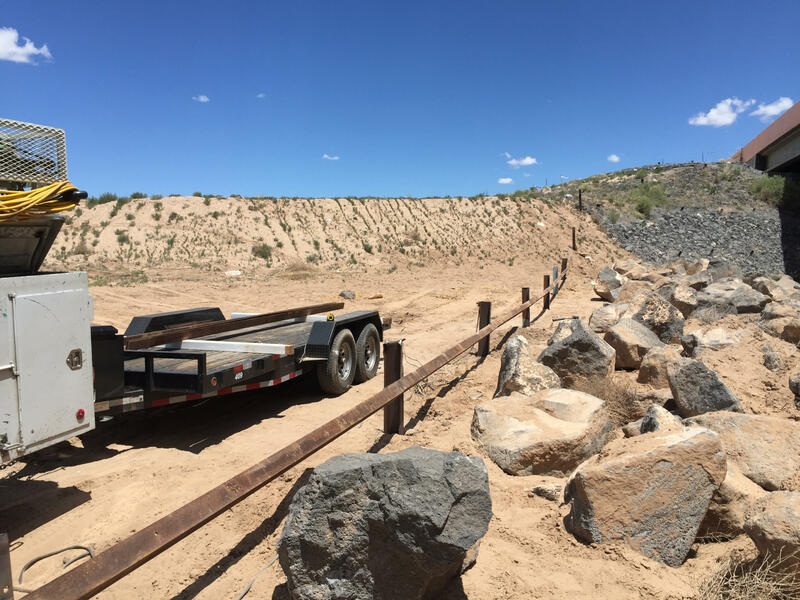 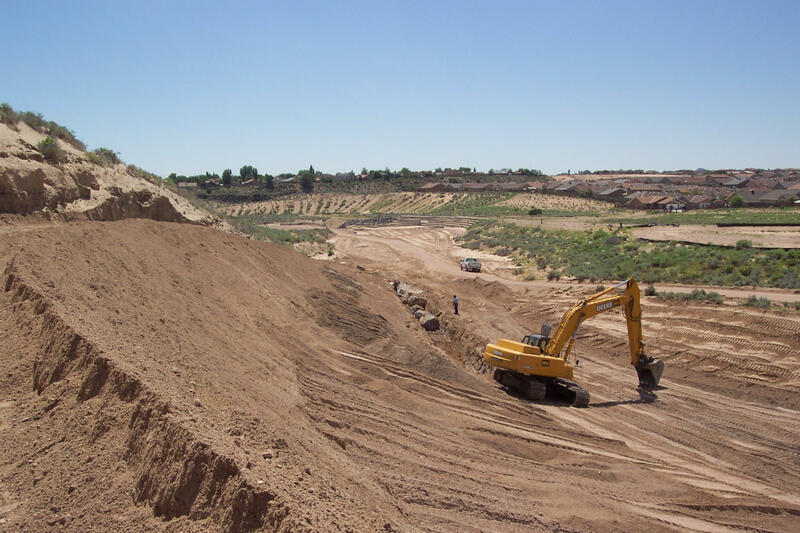 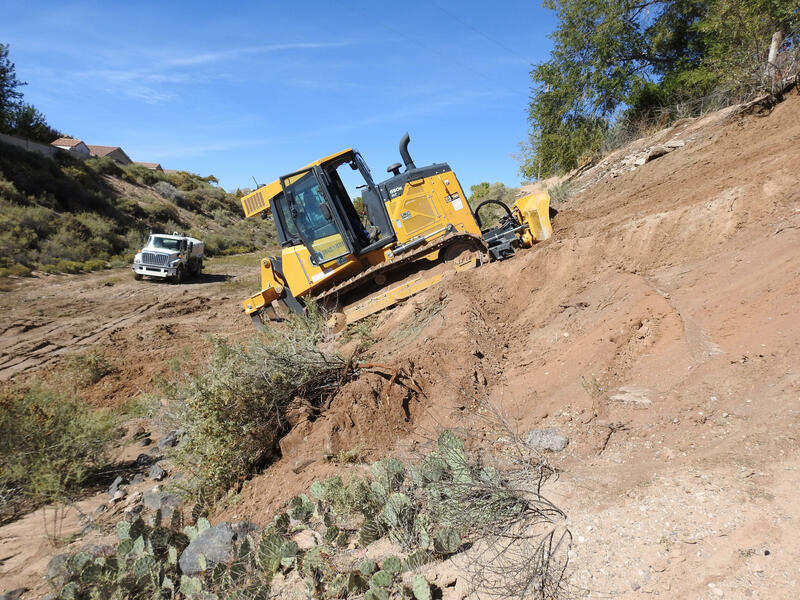 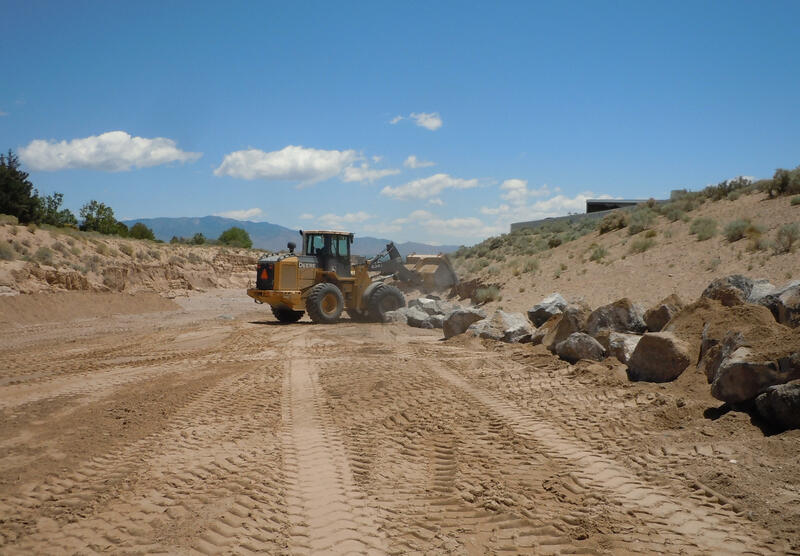 Rip-Rap (dumped boulders or rock) and gabion structures (wire baskets filled with boulders or rock) are used by AMAFCA to prevent erosion in earthen or unlined channels and arroyos. 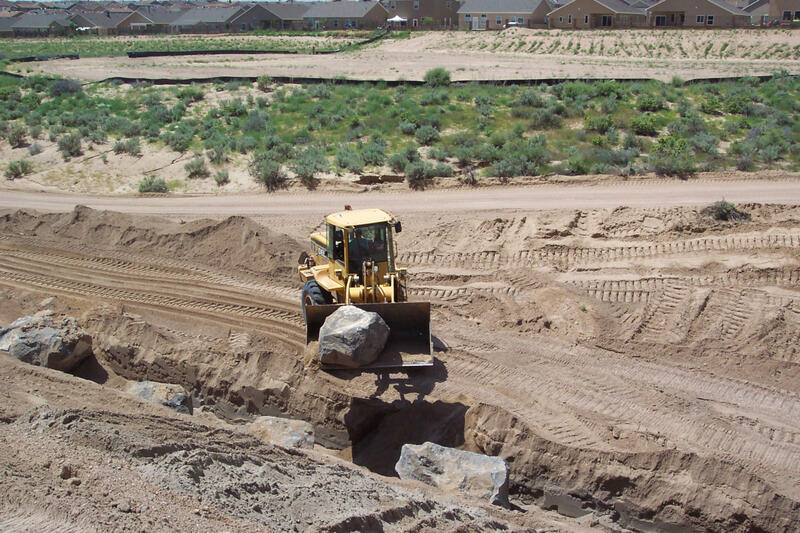 The large sized rock serves to dissipate energy and reduce the erosiveness of stormwater runoff. 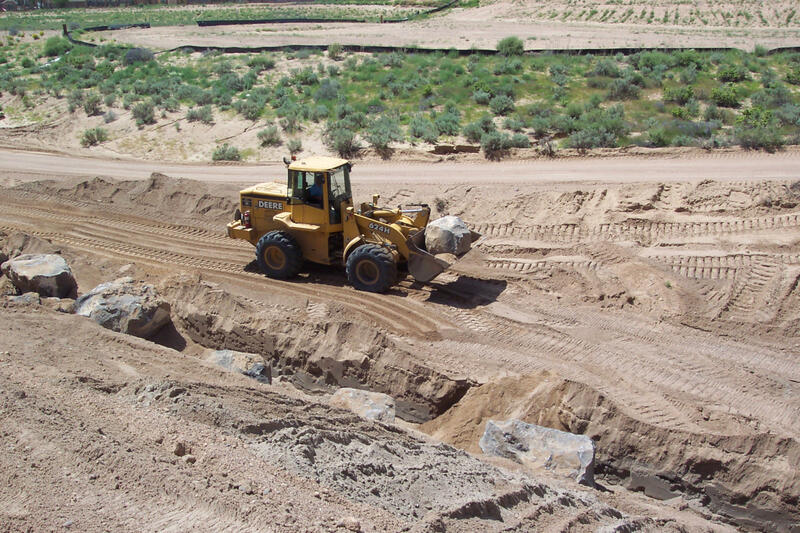 Eventually, rip rap and gabion structures may accumulate enough sediment to permanently stabilize the channel. 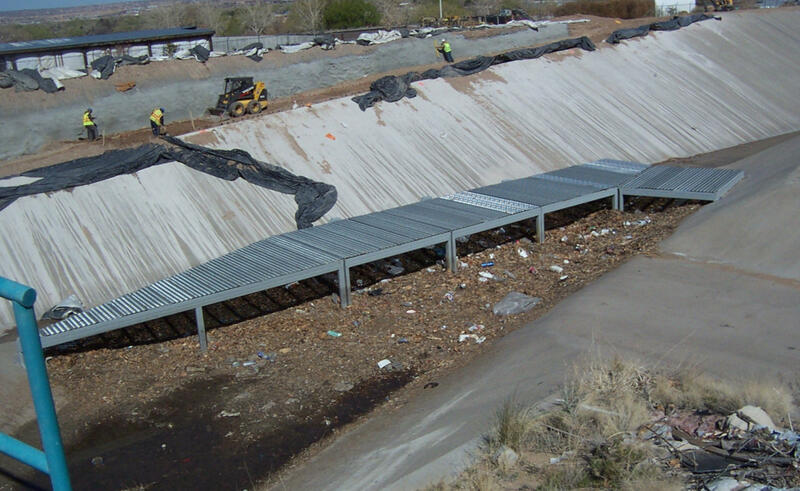 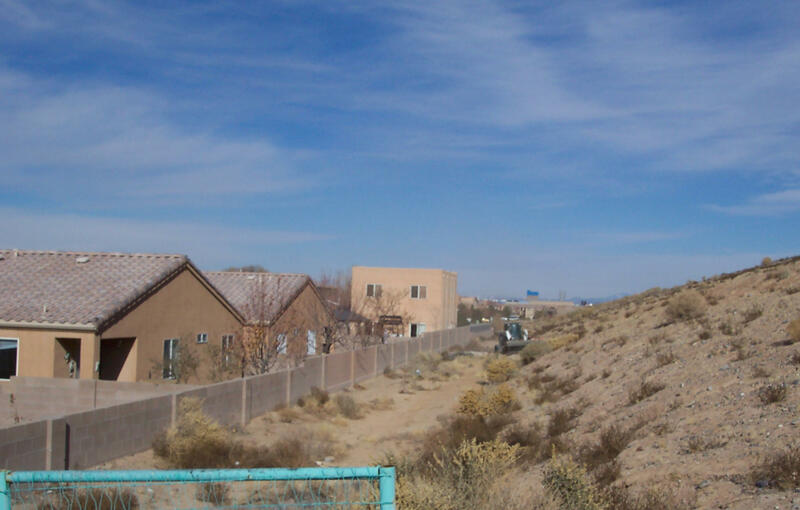 Stormwater runoff often contains both natural and manufactured debris which would eventually reach the Rio Grande River. 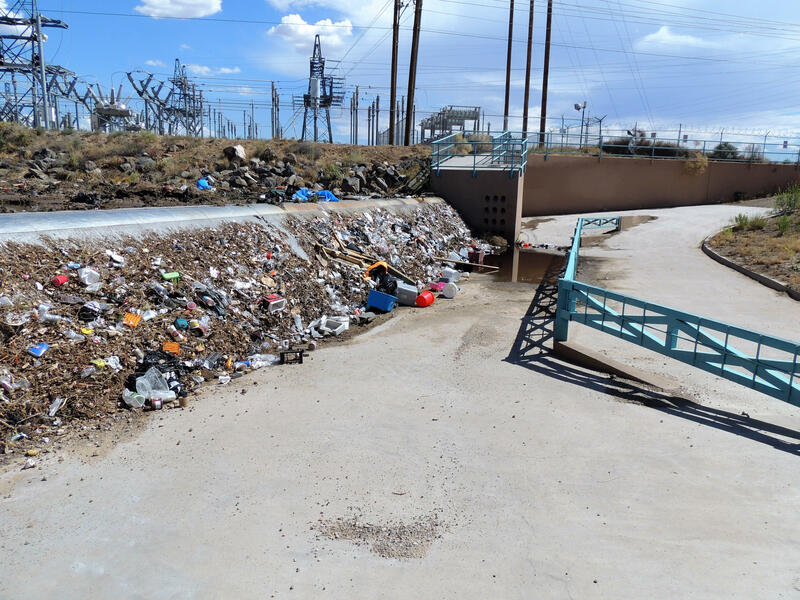 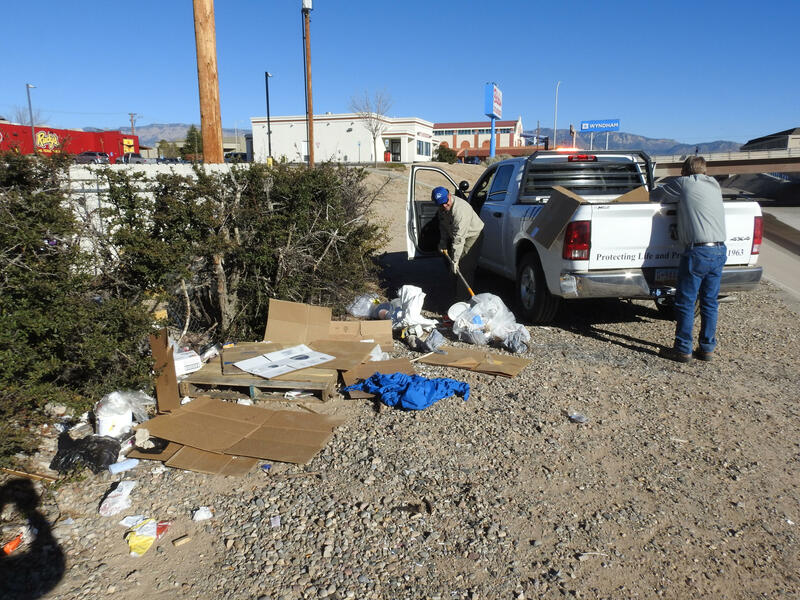 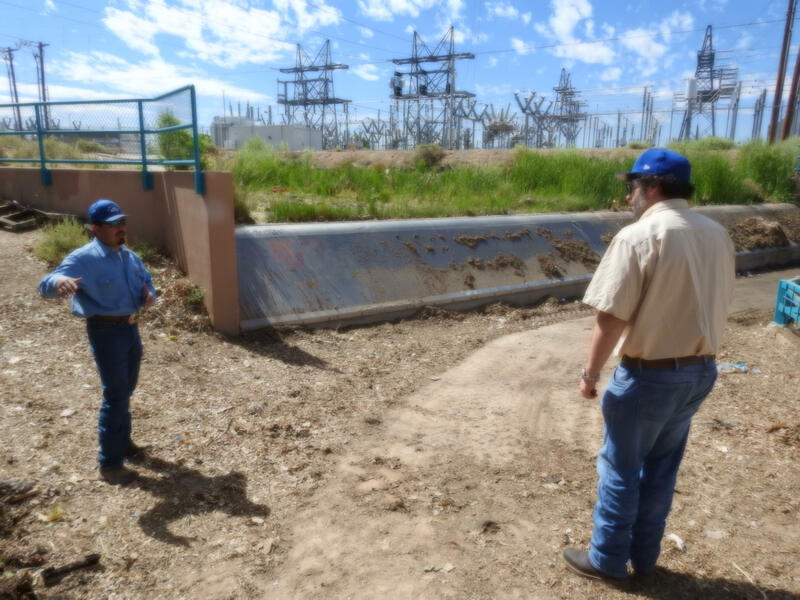 However, AMAFCA maintains over 100 water quality facilities designed to prevent this debris from ever reaching the Rio Grande and surrounding Bosque. 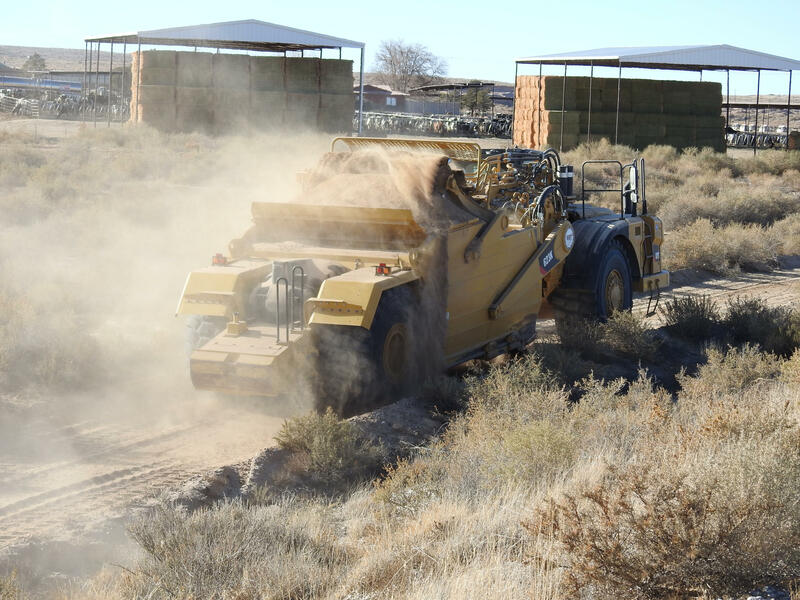 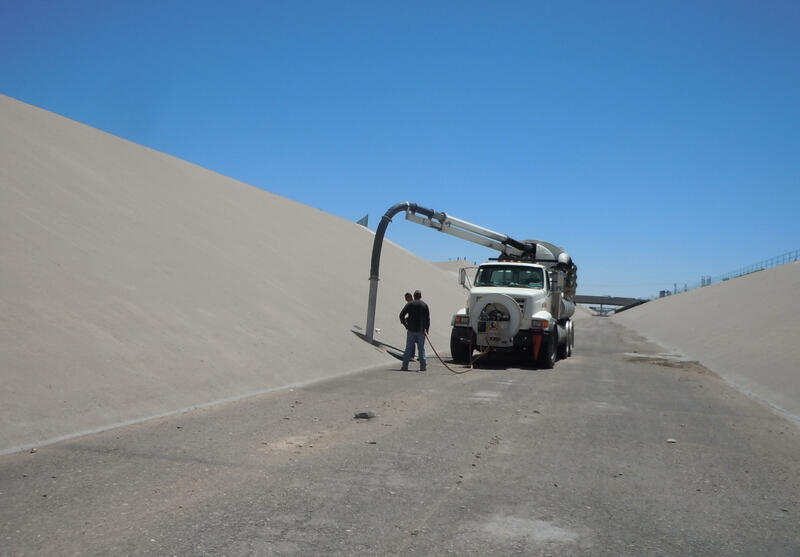 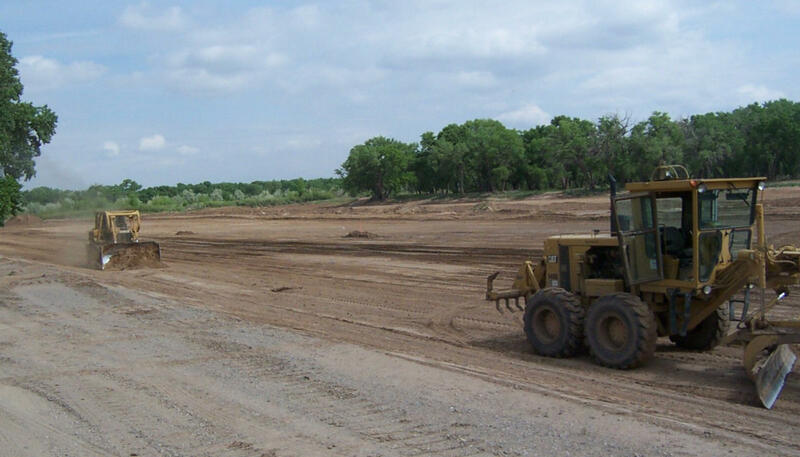 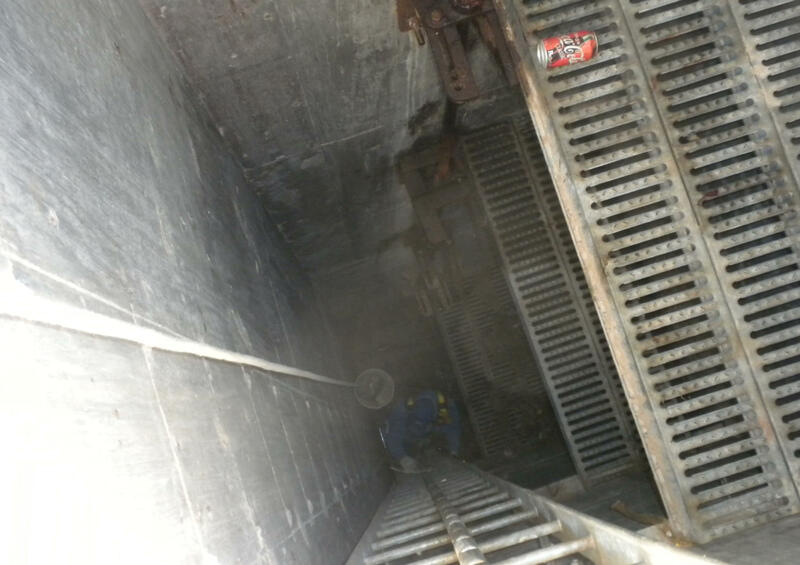 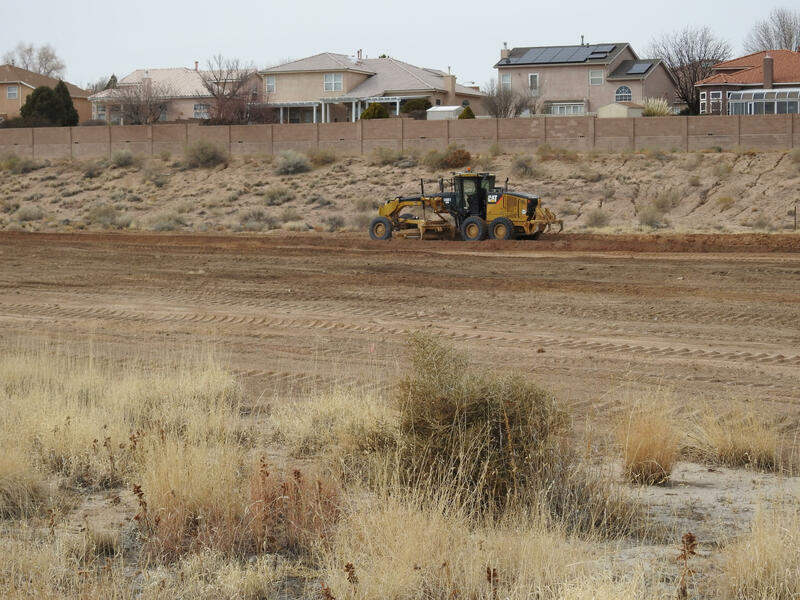 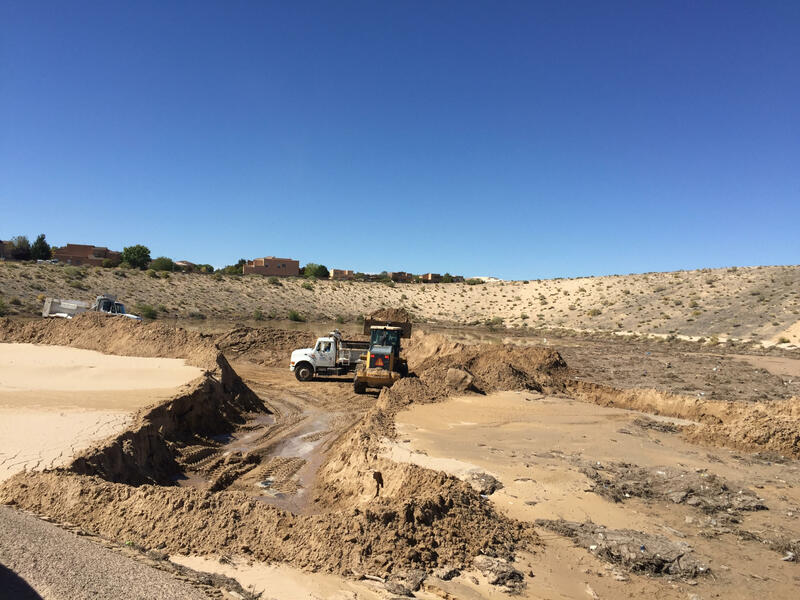 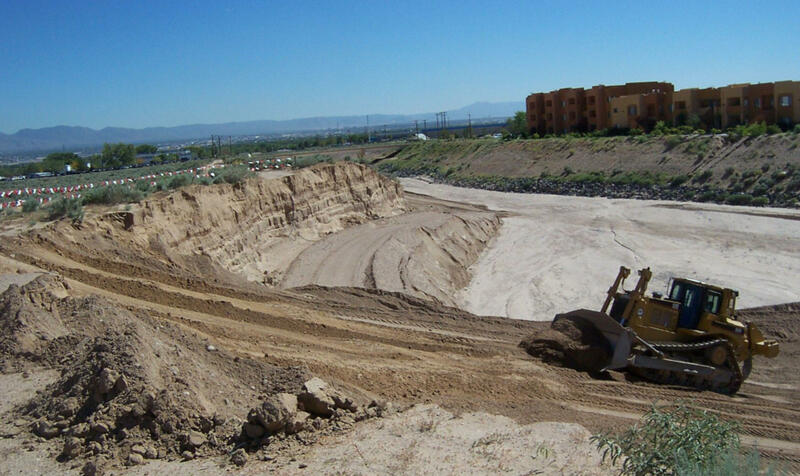 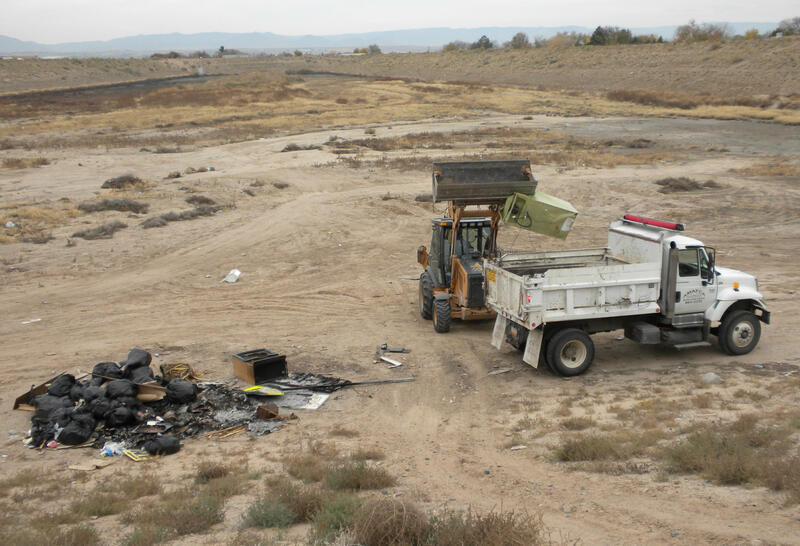 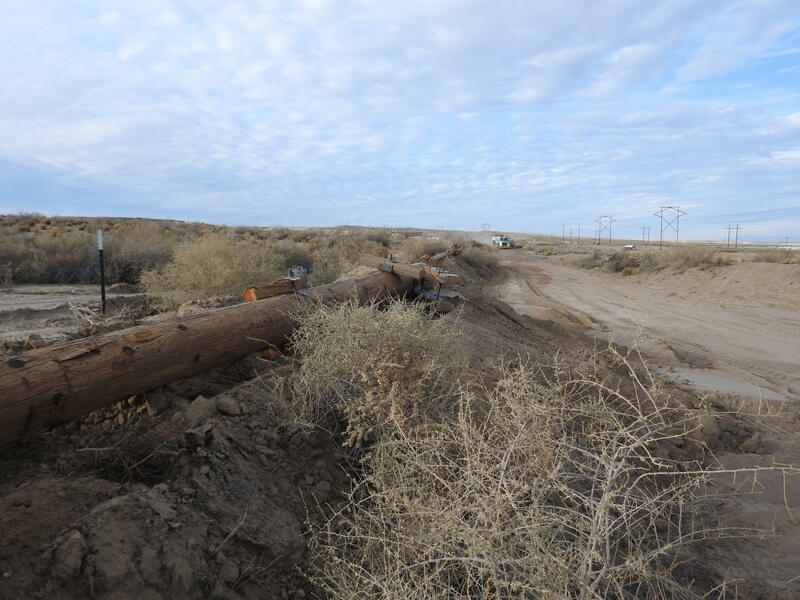 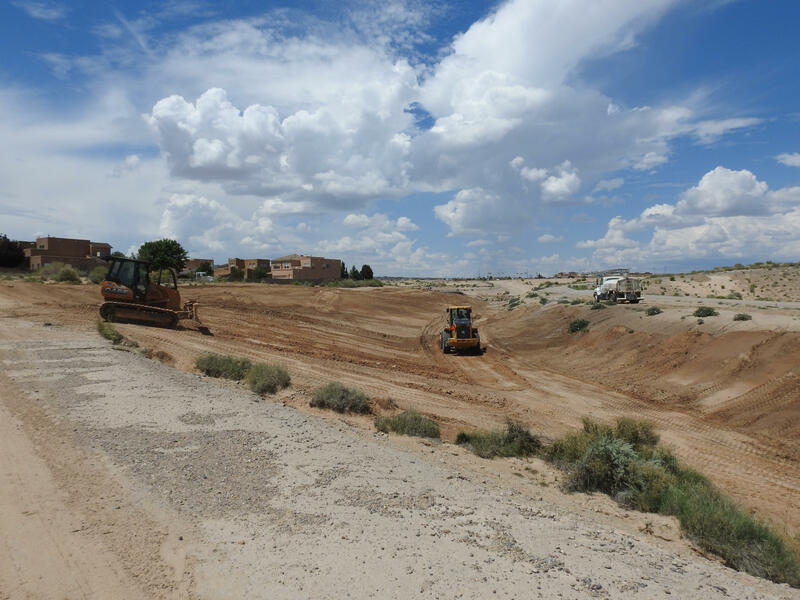 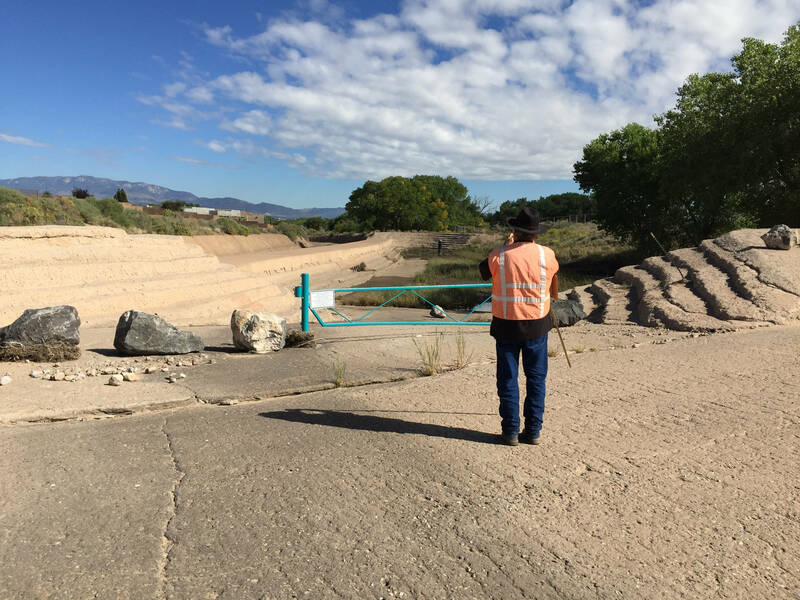 Debris removed from these facilities is either stockpiled (in the case of sediment which is used to repair erosions at other AMAFCA facilities) or disposed of. 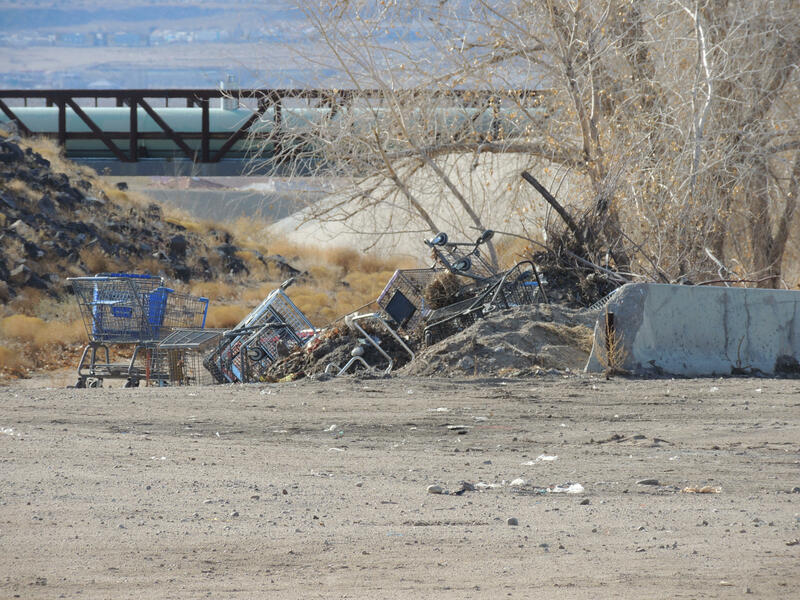 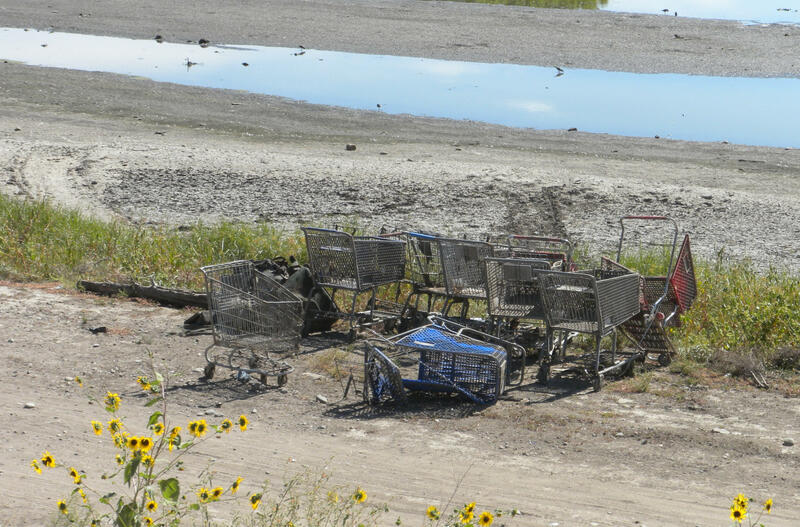 If possible, items like shopping carts are recycled and used for smaller AMAFCA projects. 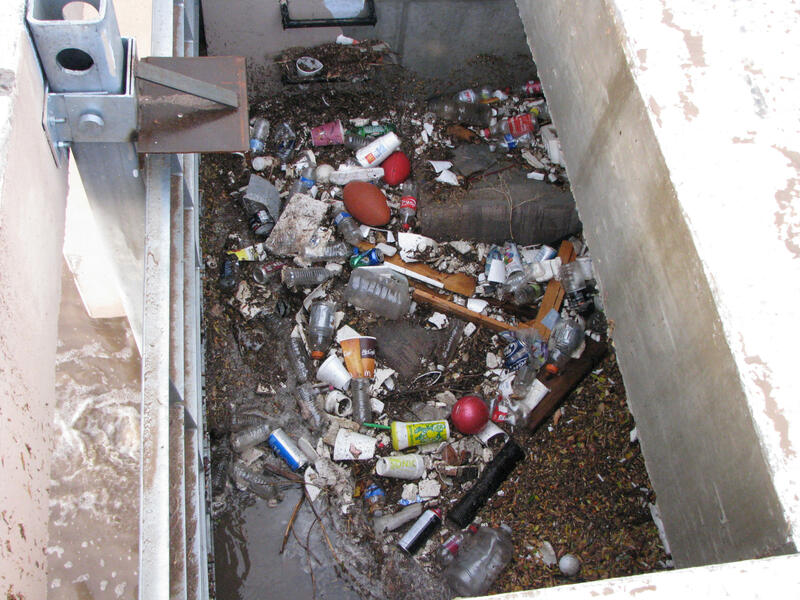 Annually, AMAFCA prevents tens of thousands of cubic yards of debris from reaching the river.